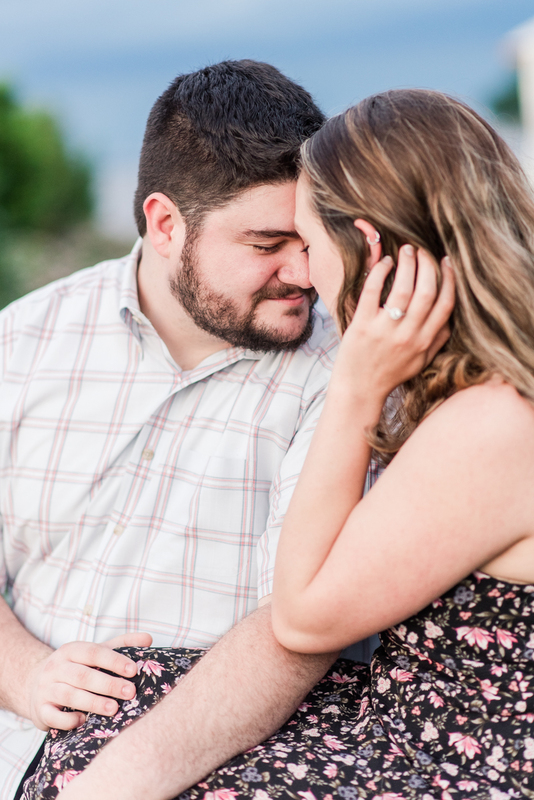 Ohhh, my goodness! 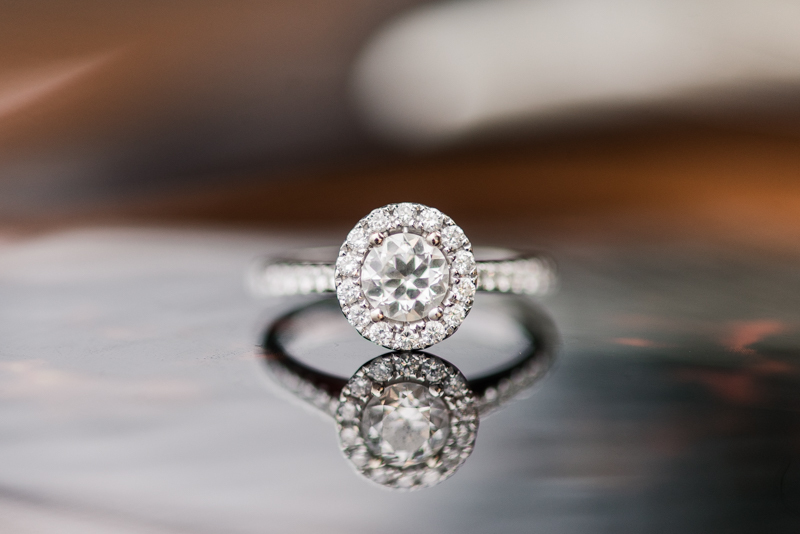 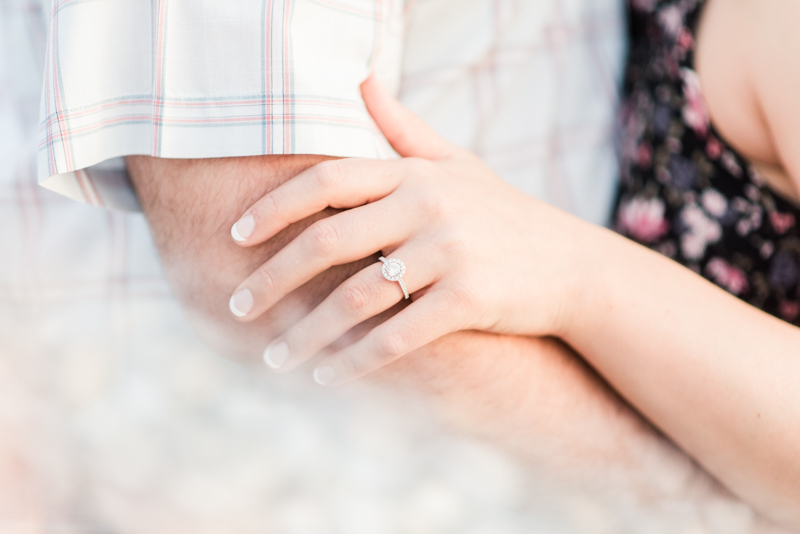 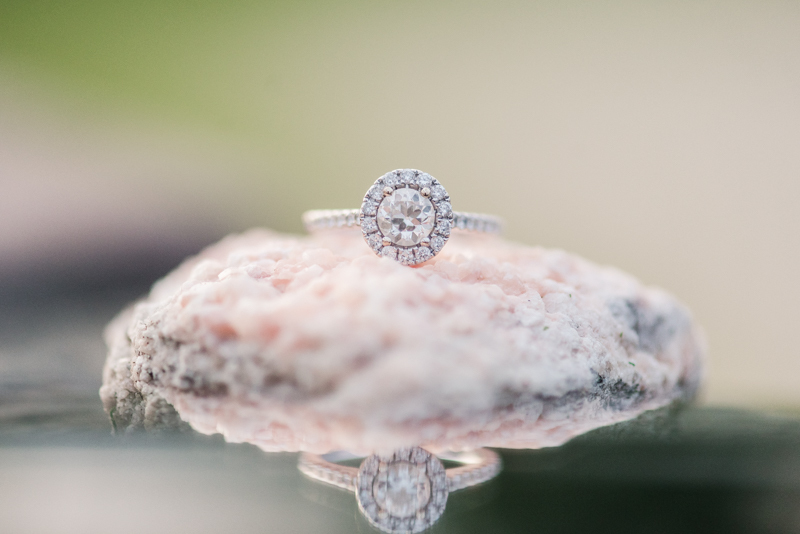 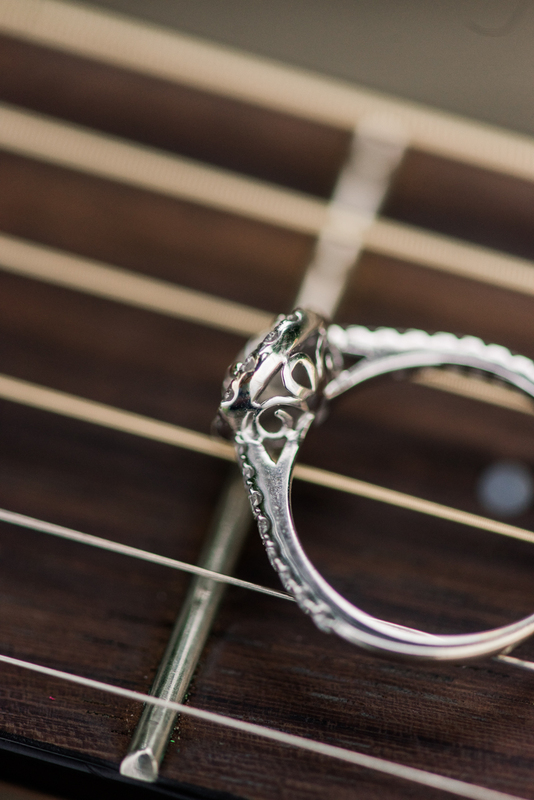 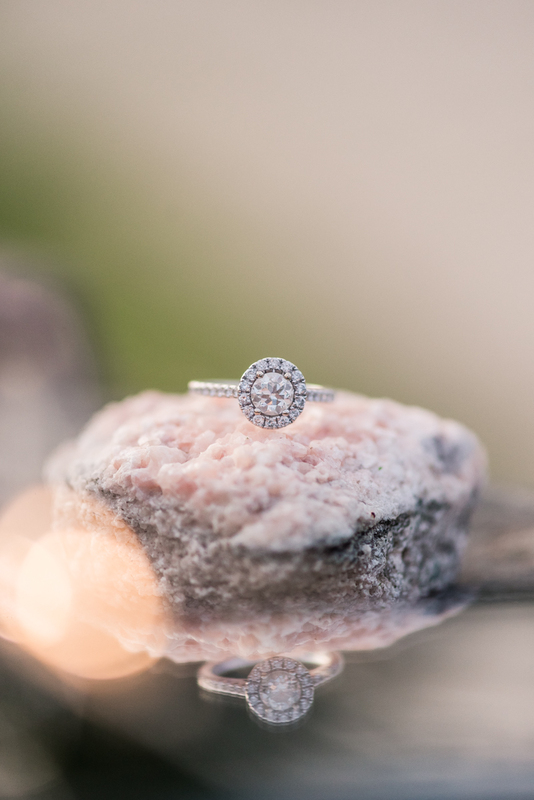 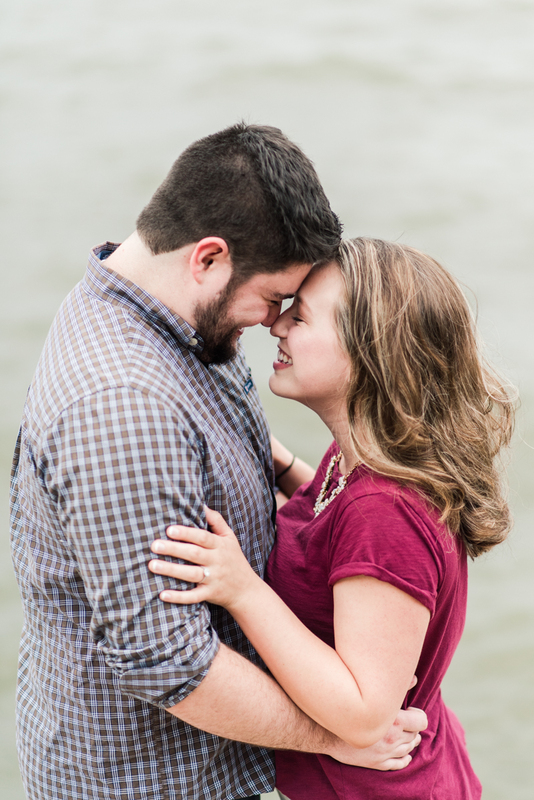 Are you all ready for an amazing engagement?! 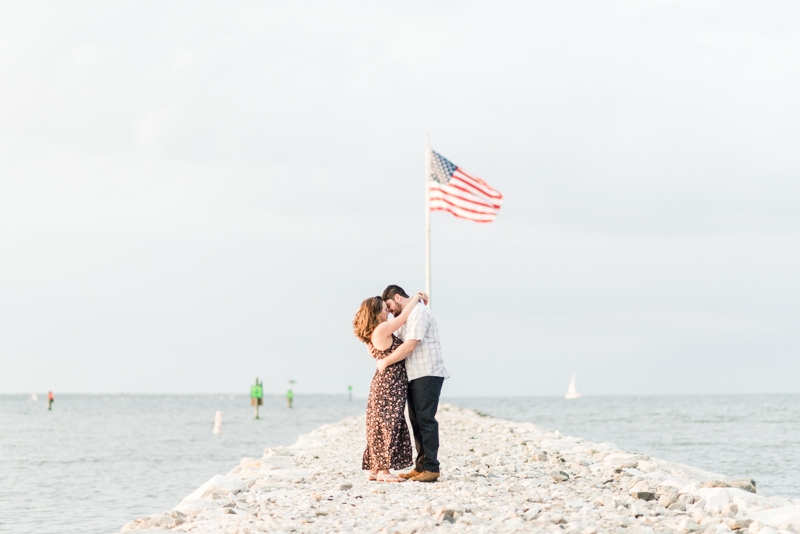 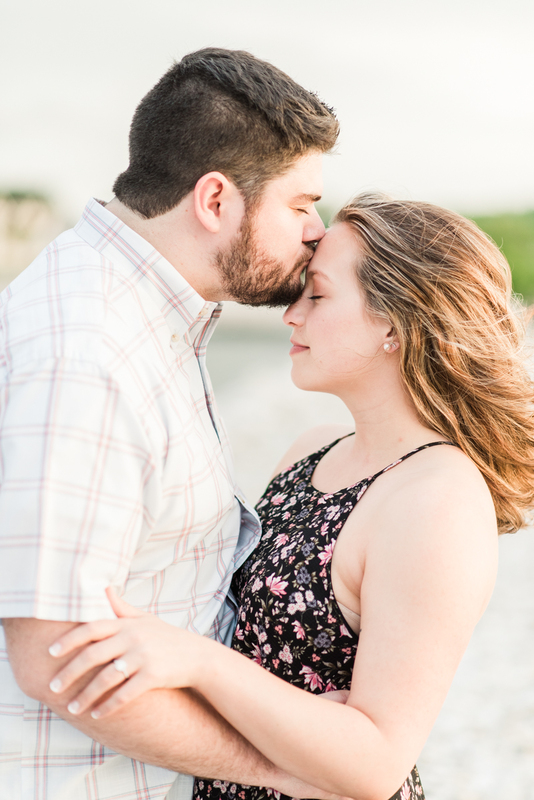 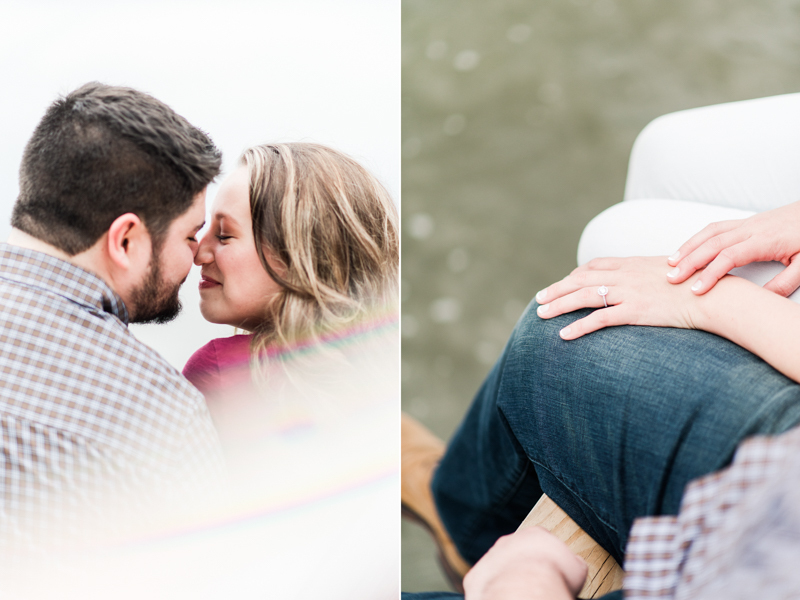 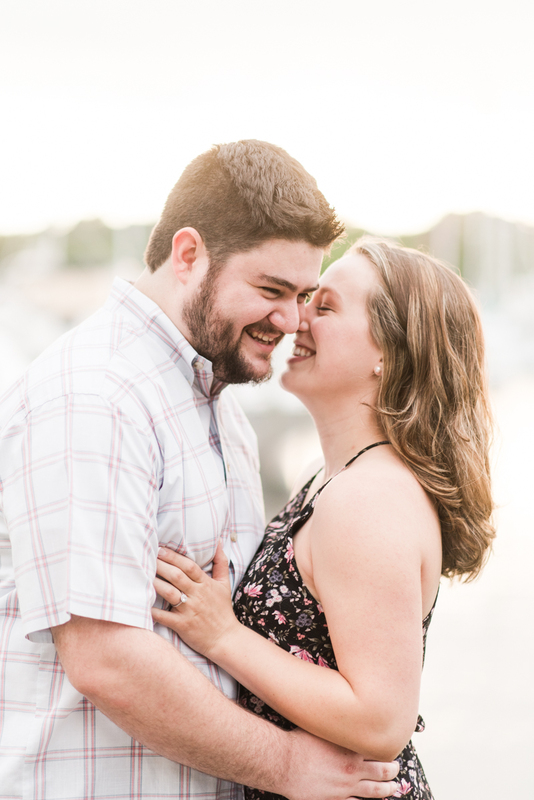 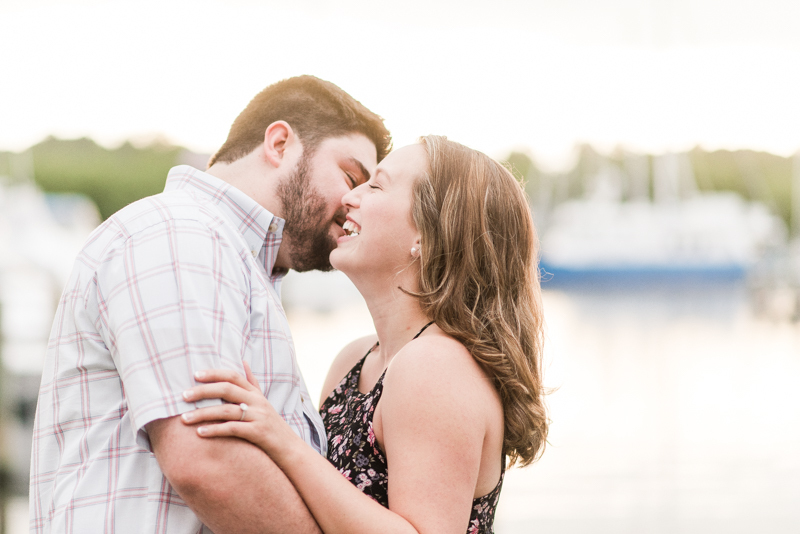 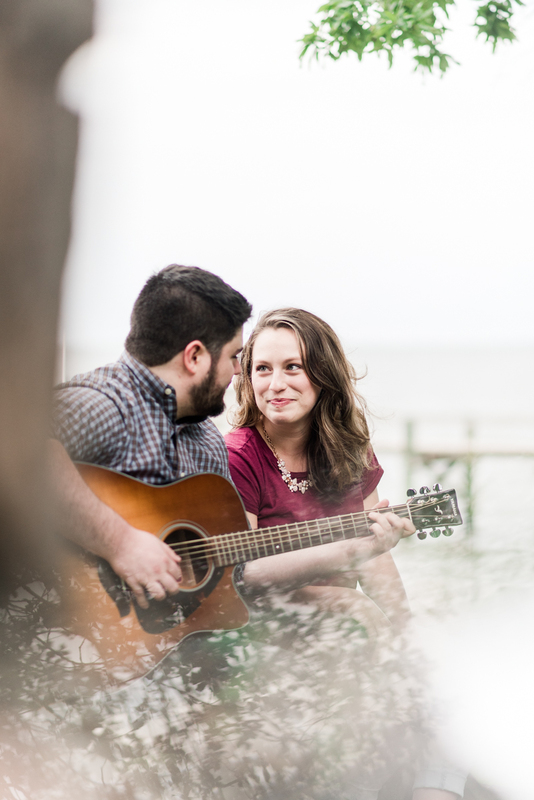 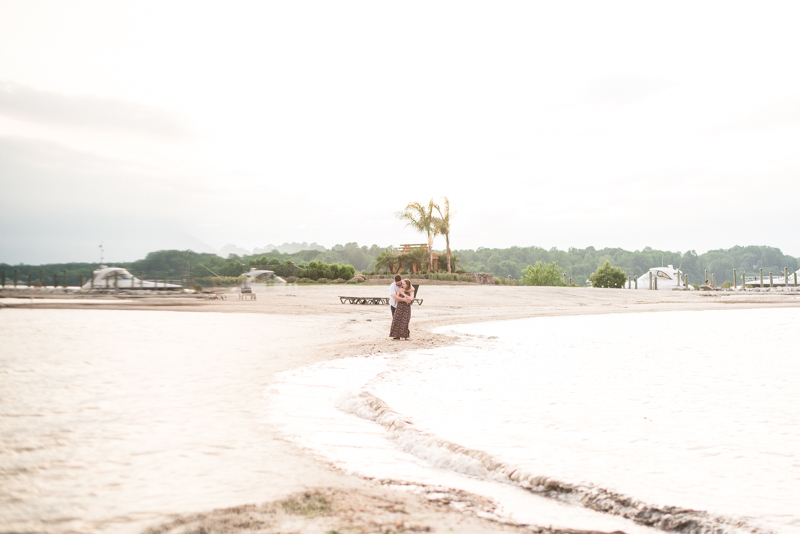 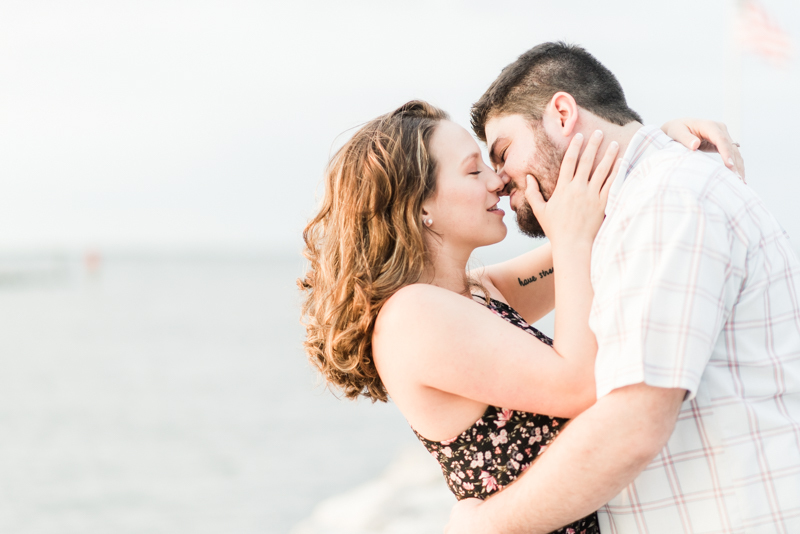 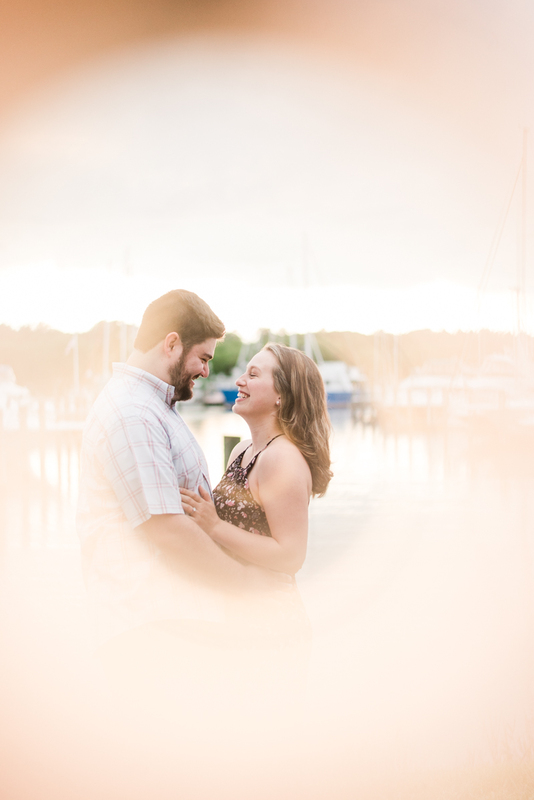 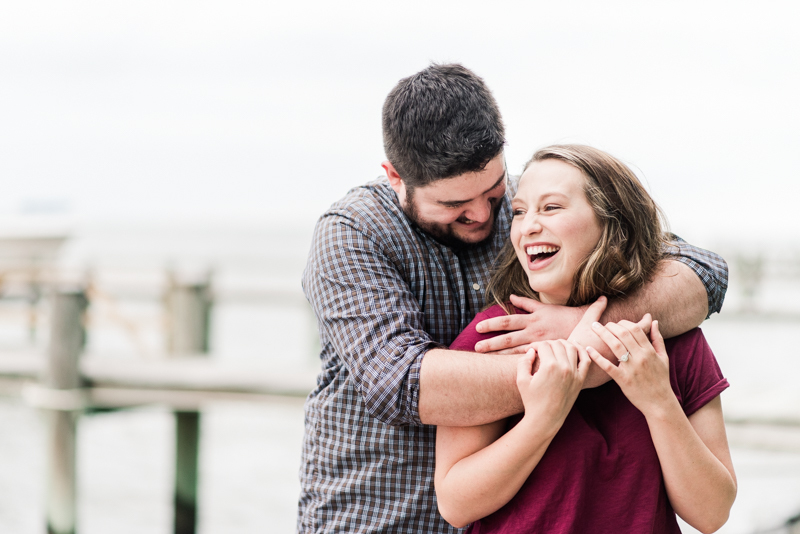 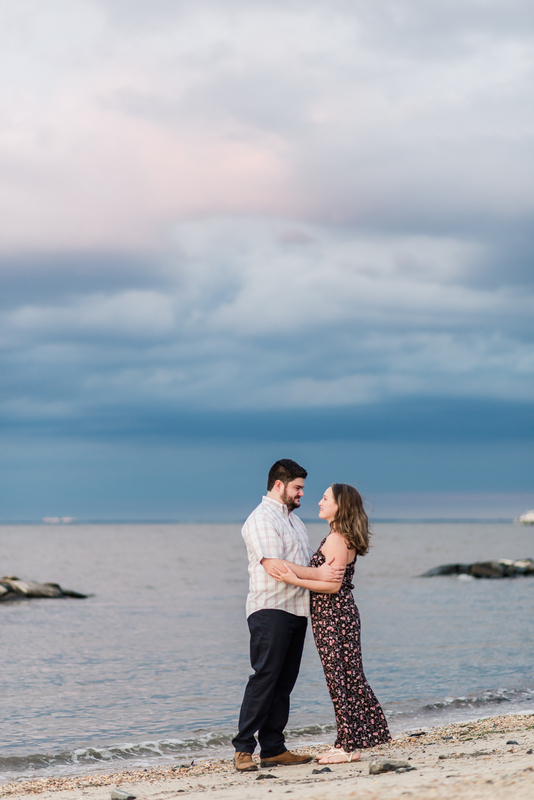 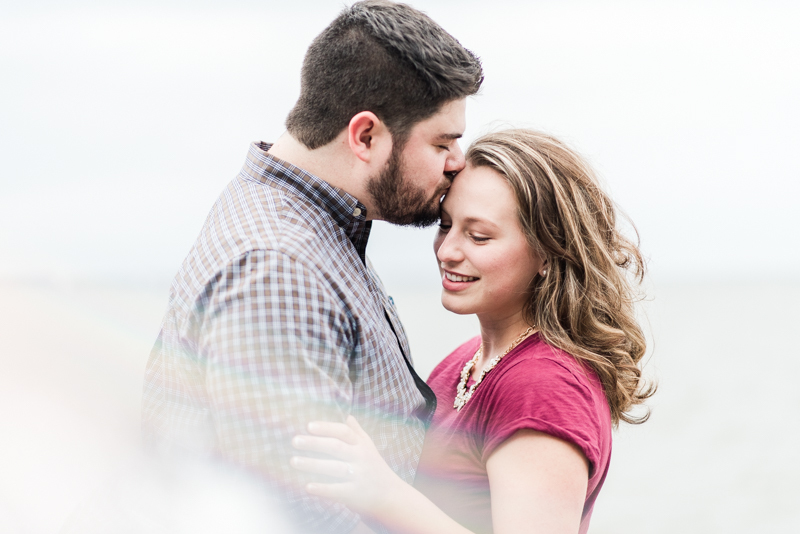 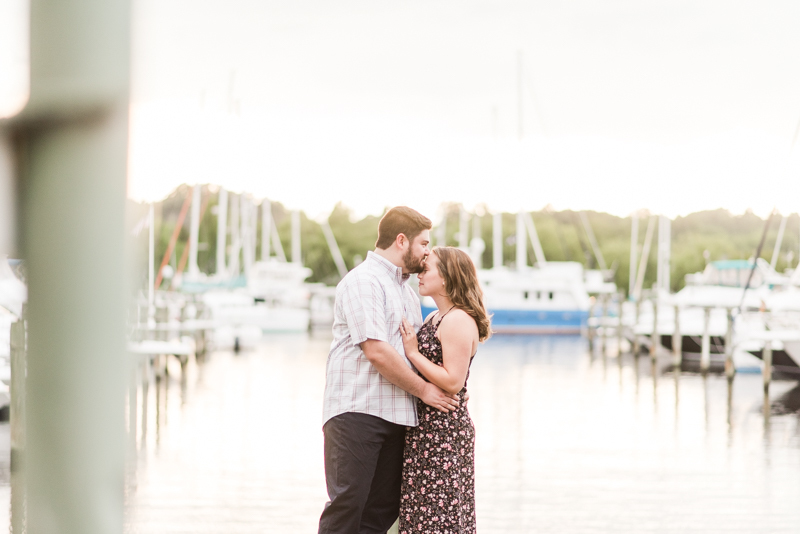 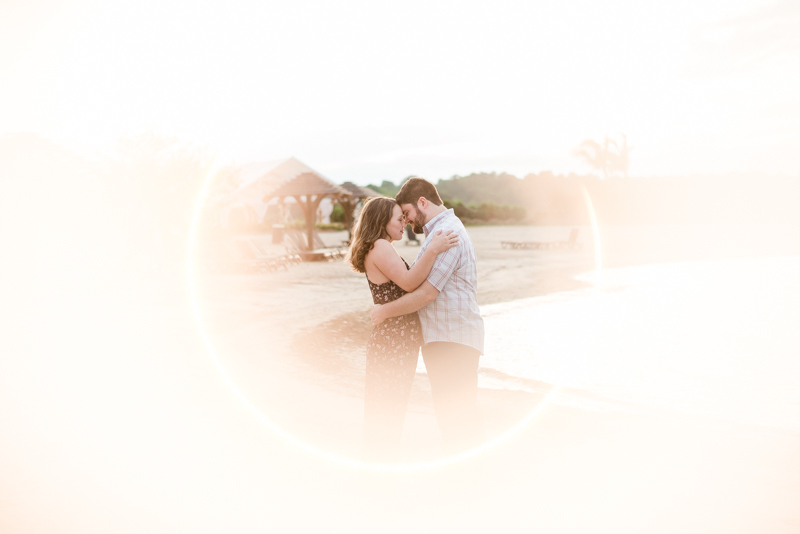 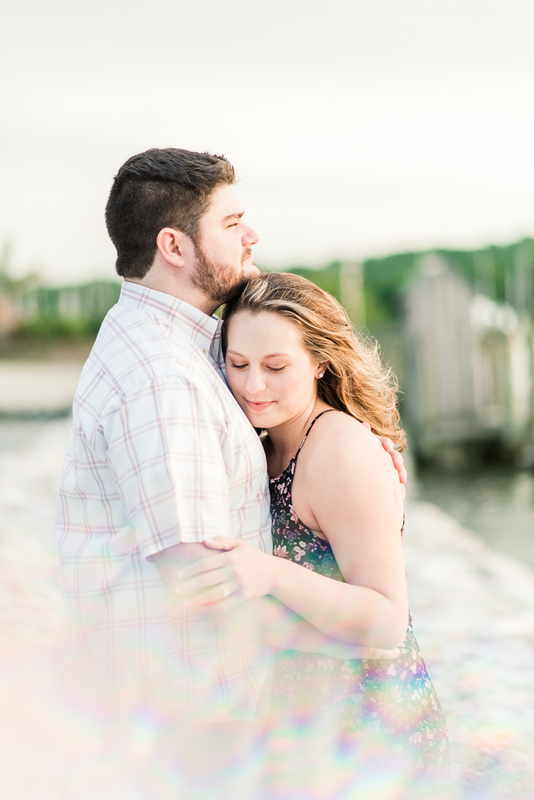 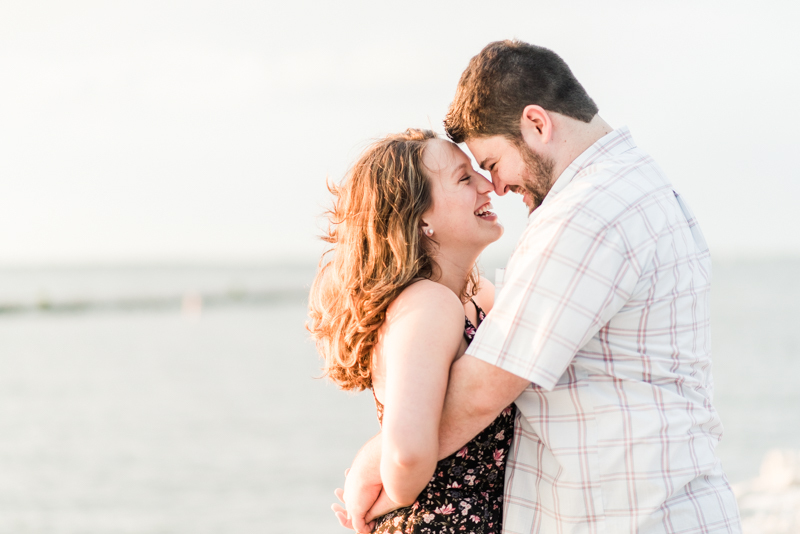 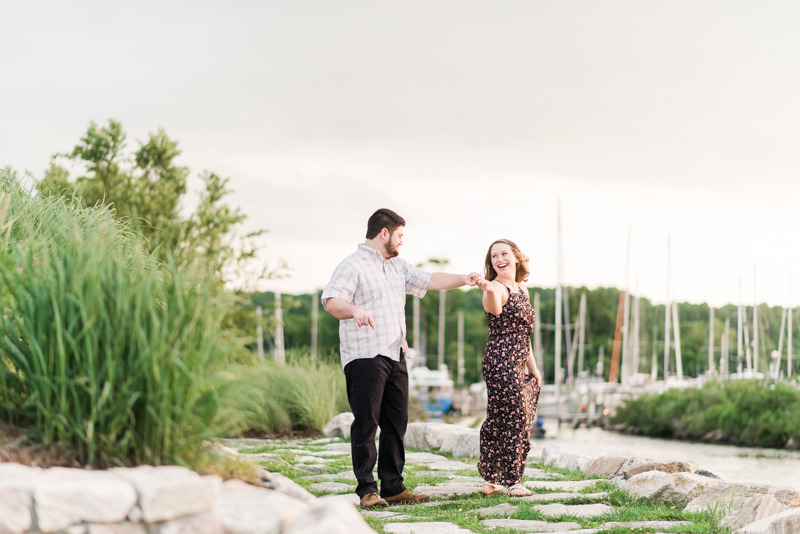 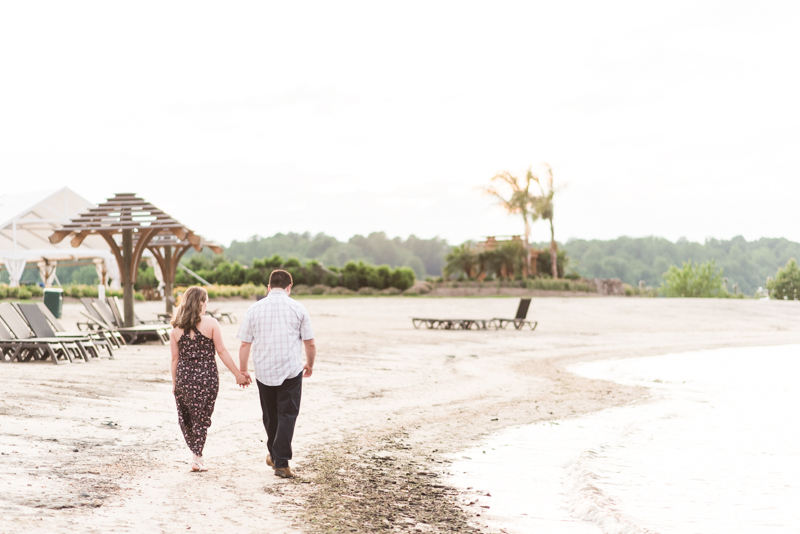 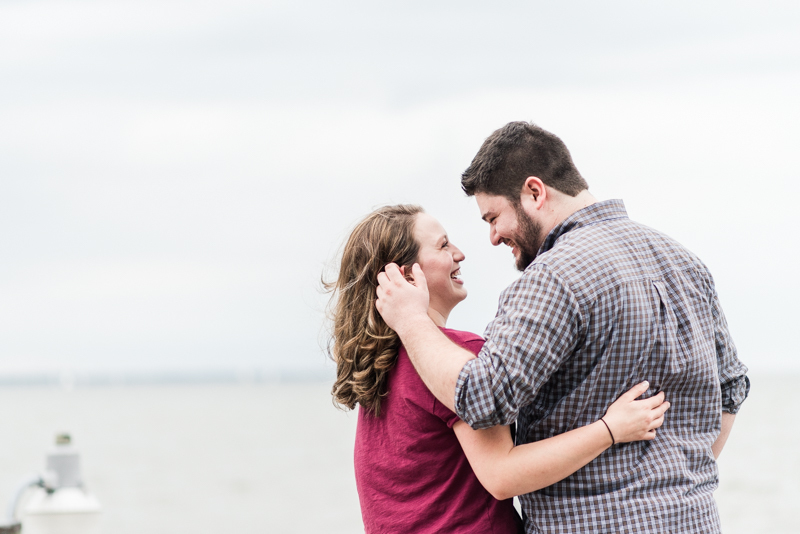 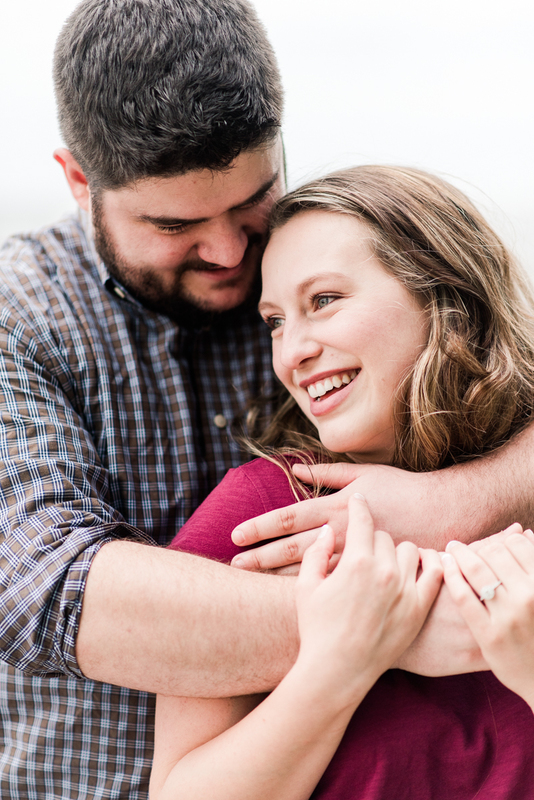 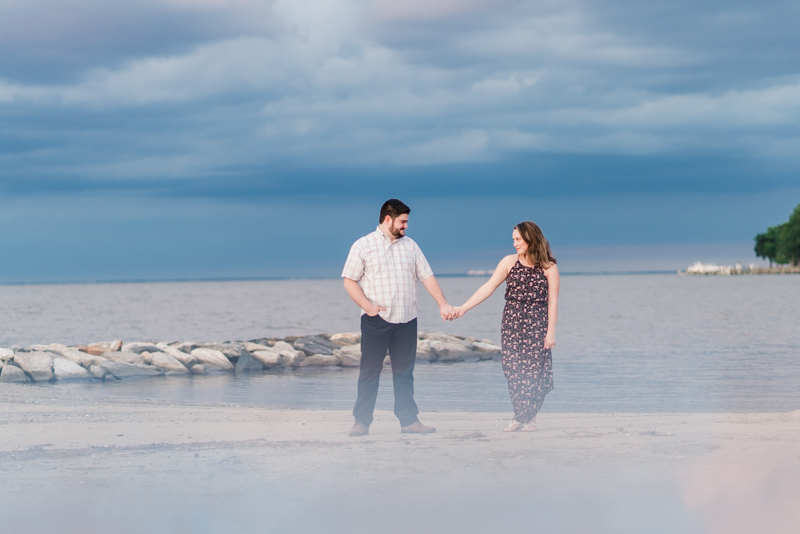 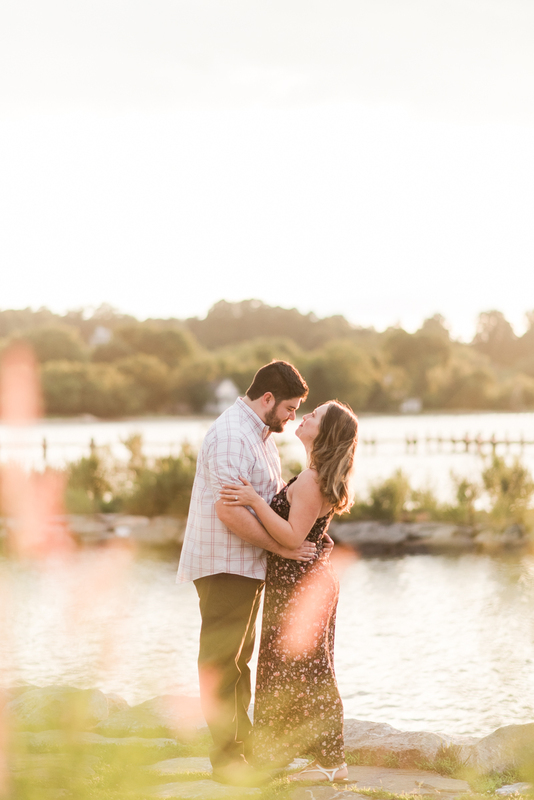 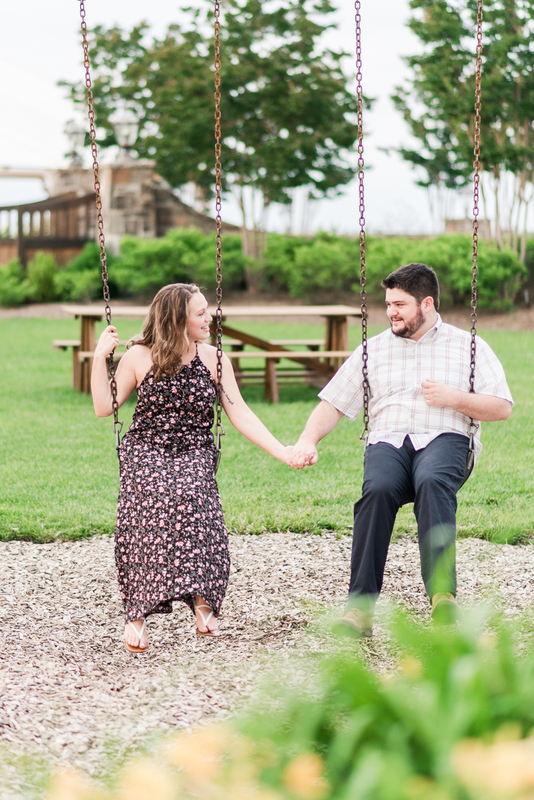 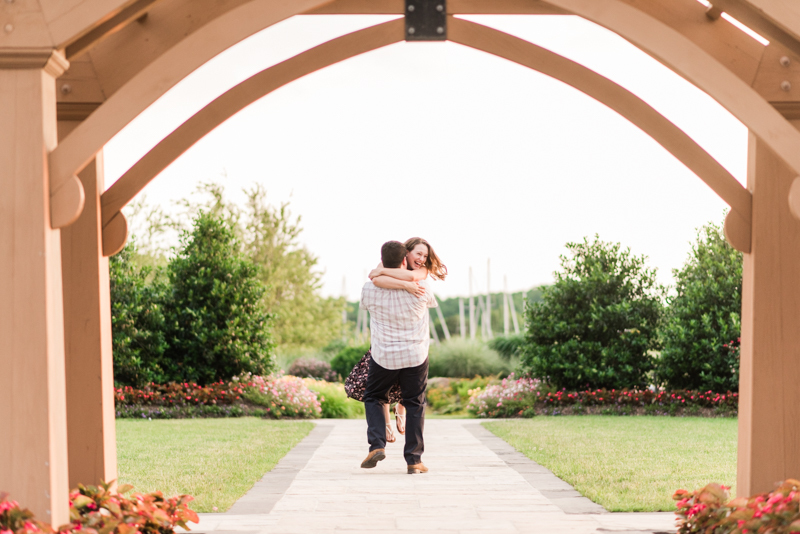 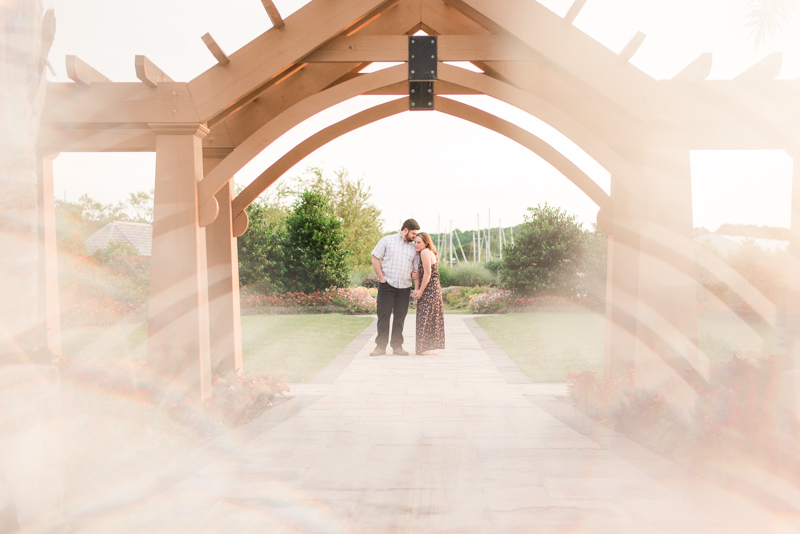 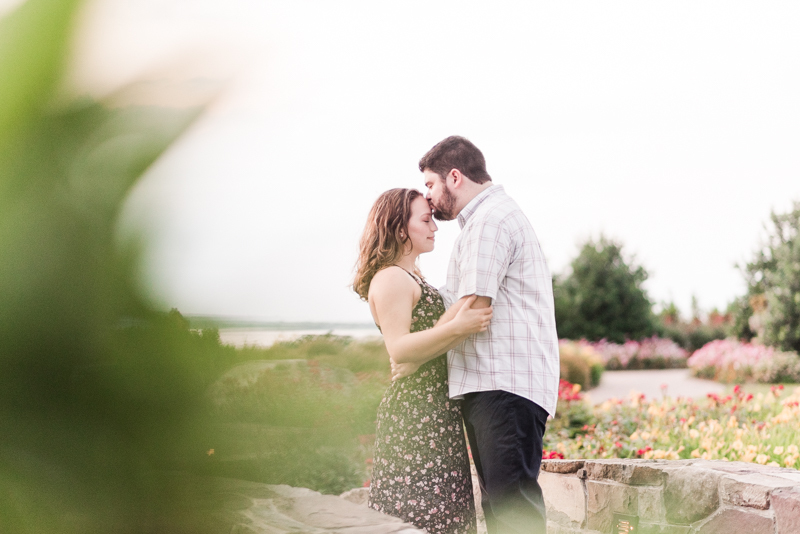 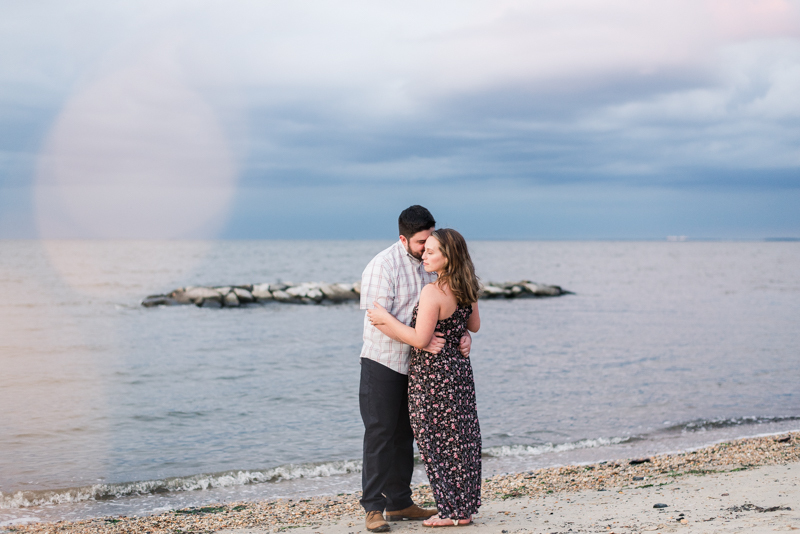 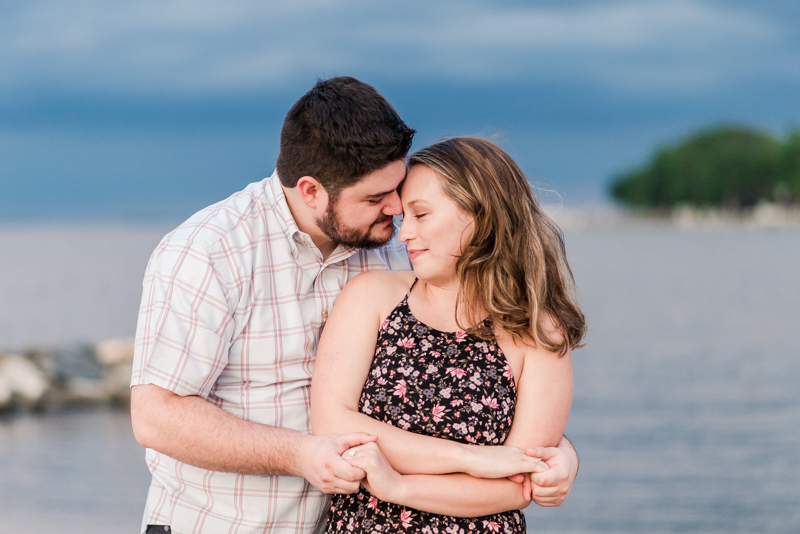 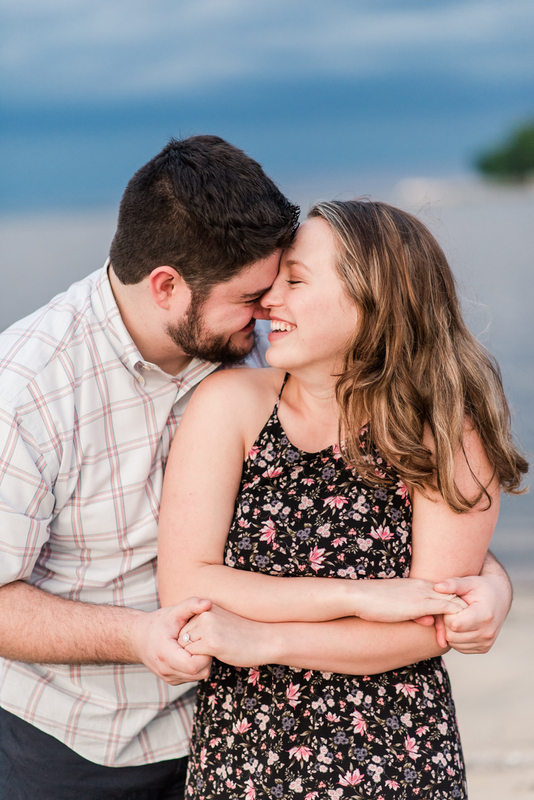 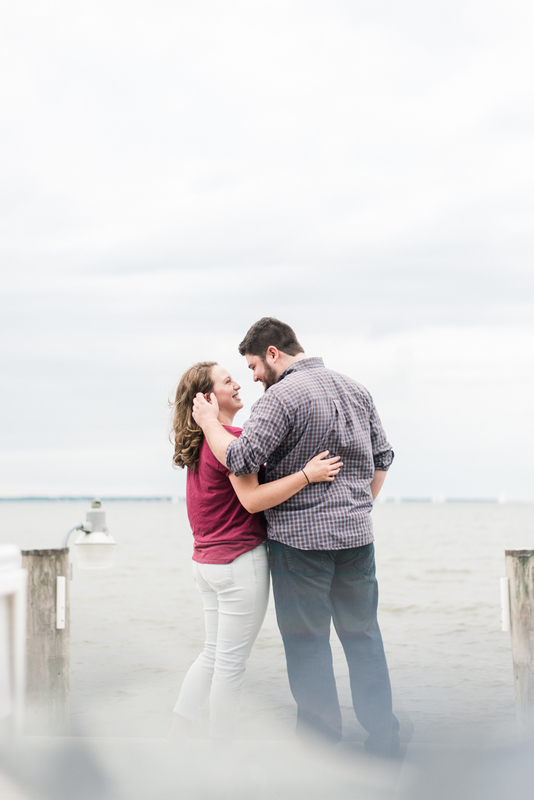 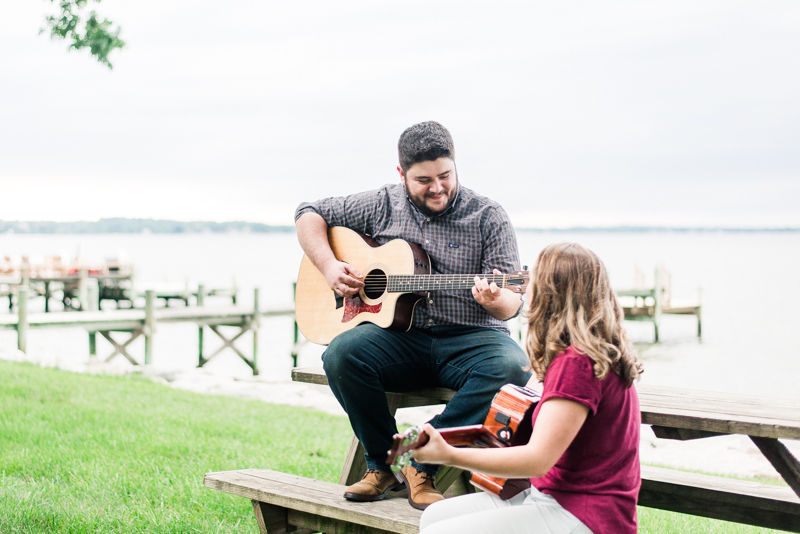 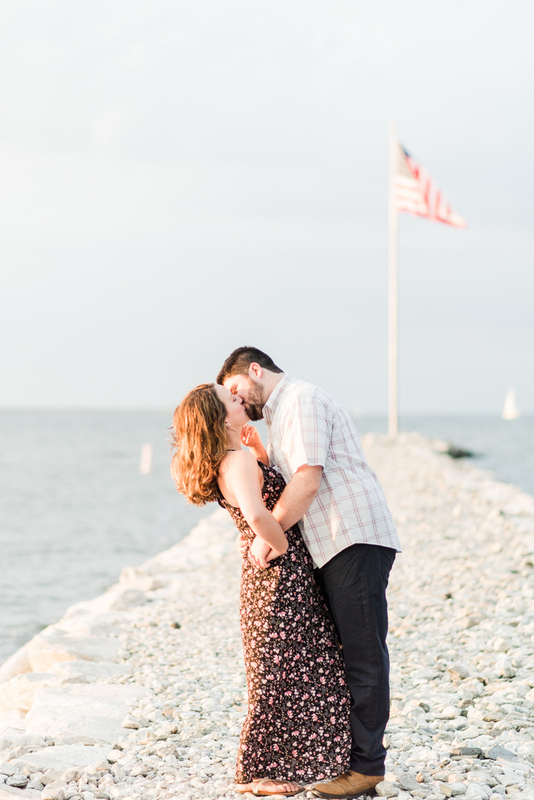 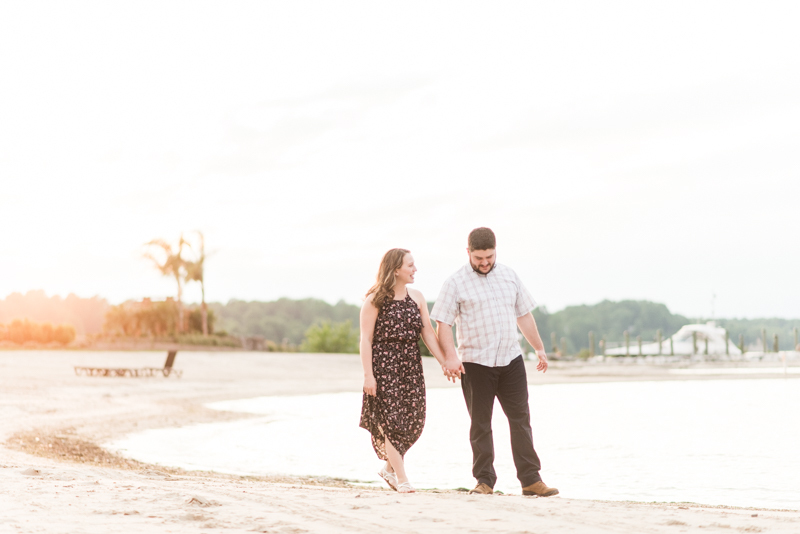 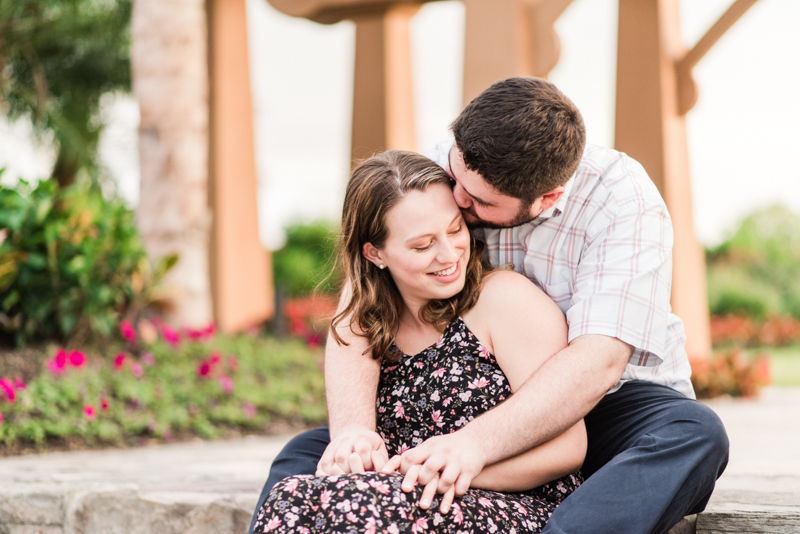 On Wednesday of last week, we traveled down to Herrington Harbour and North Beach for Brianna and Ryan's session. 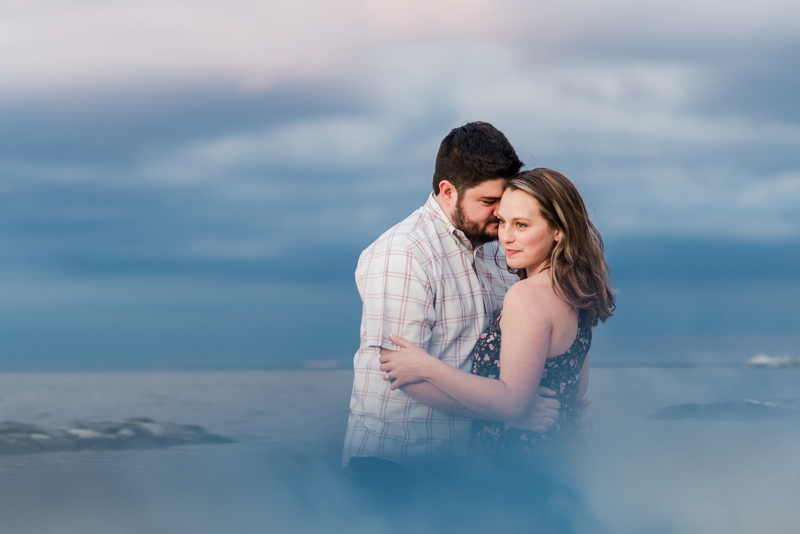 The day was made 100% fantastic thanks to gorgeous weather, scary cool clouds, and music! 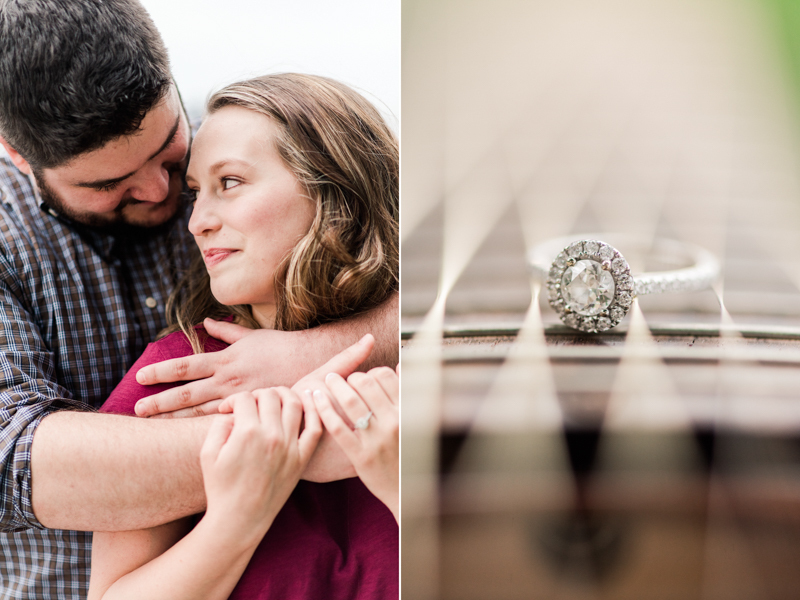 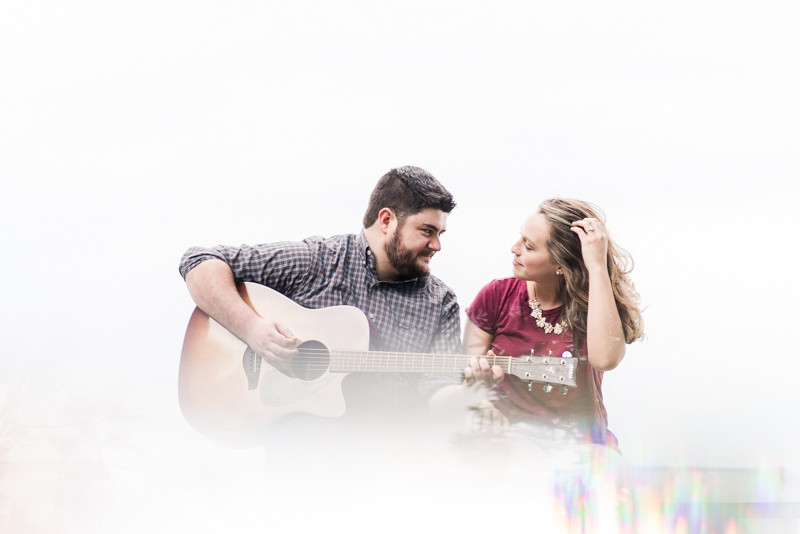 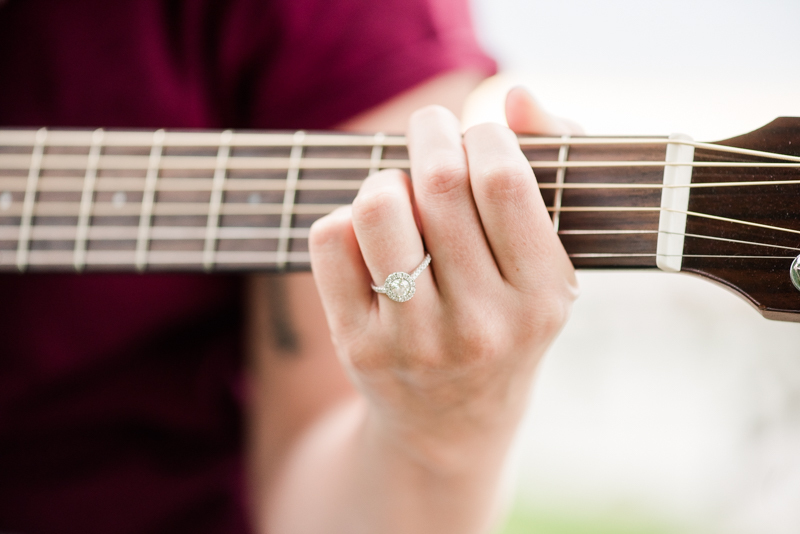 I'm tellin' ya, we may not have very many weddings this year, but the sessions we do have are out of this world! 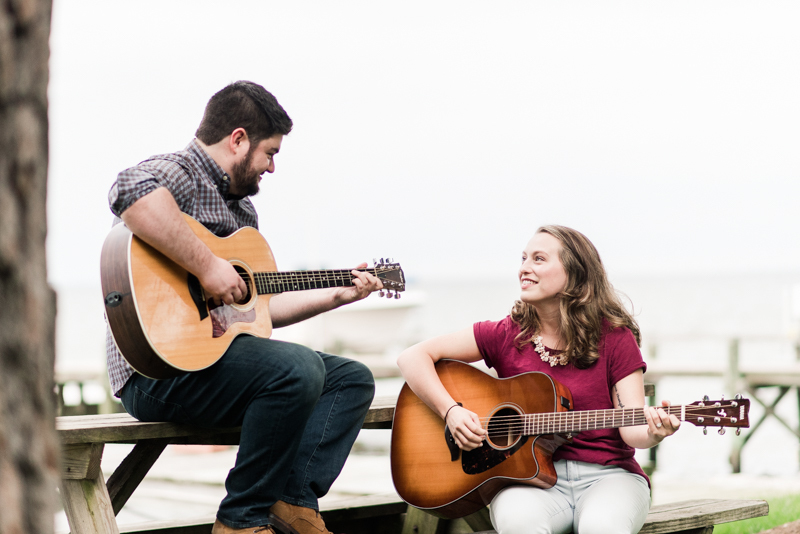 We started the session at Ryan's parents house in North Beach. 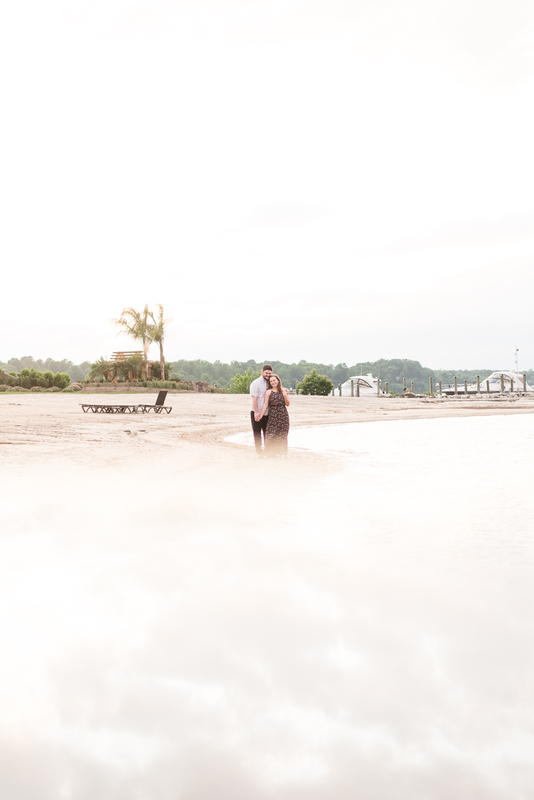 A gorgeous place with beautiful views of the water. 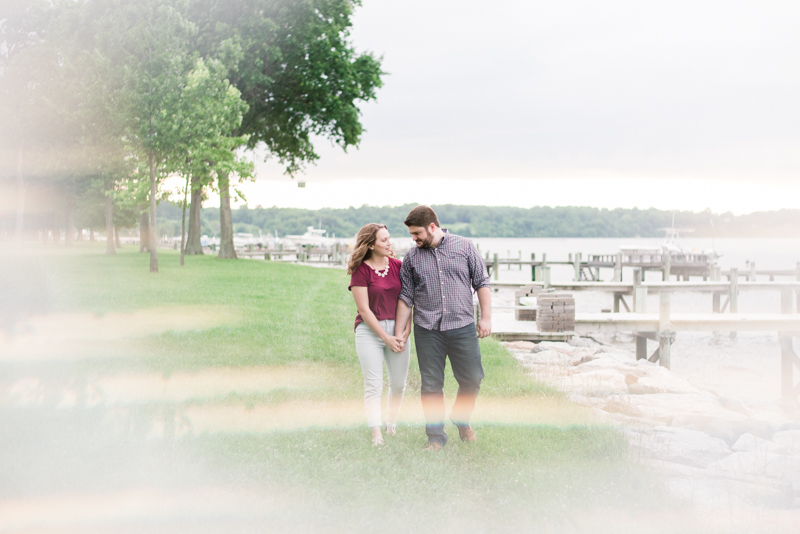 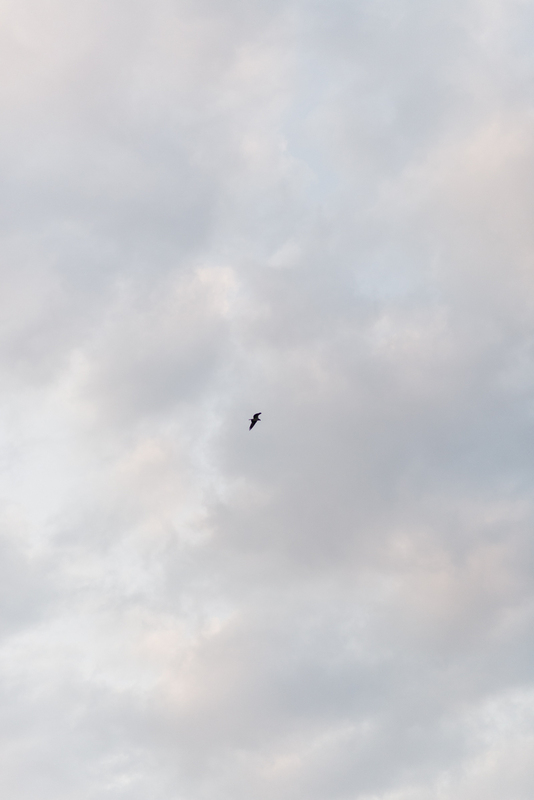 It just so happened that on the day of their shoot, there was a sailboat race happening, so speckling the horizon were dozens of crisp white sails. 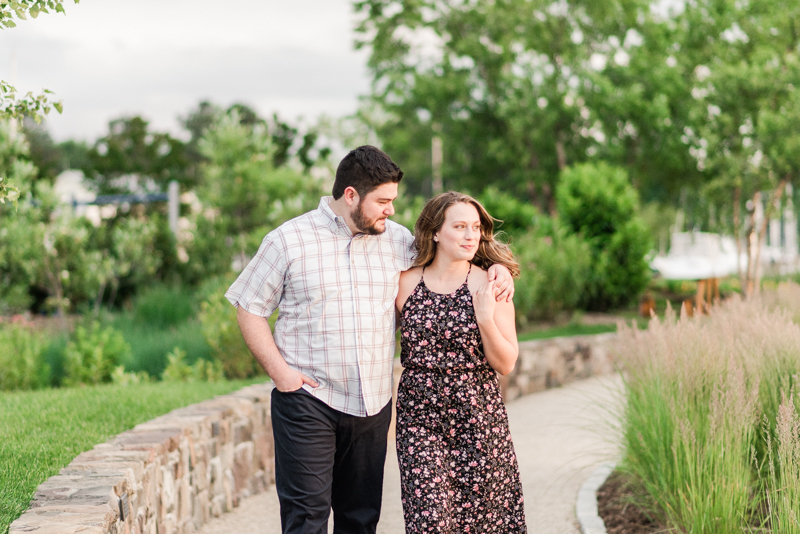 It was honestly just the beginning of the coolness. 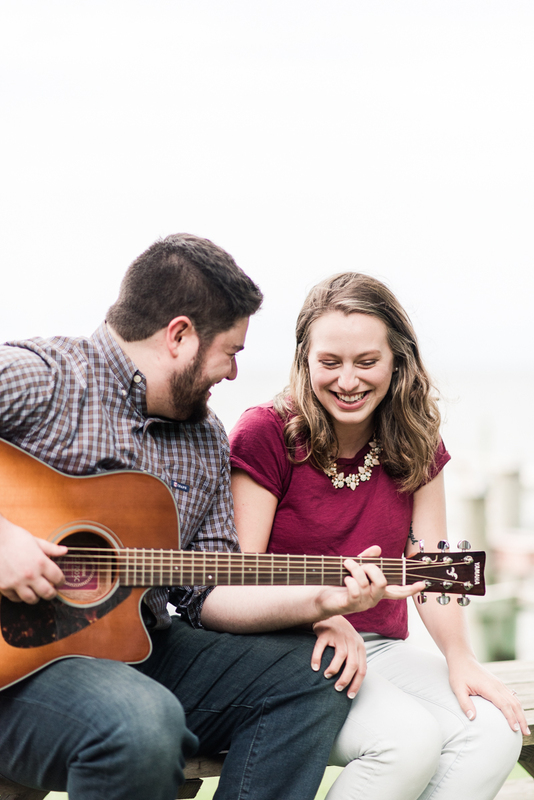 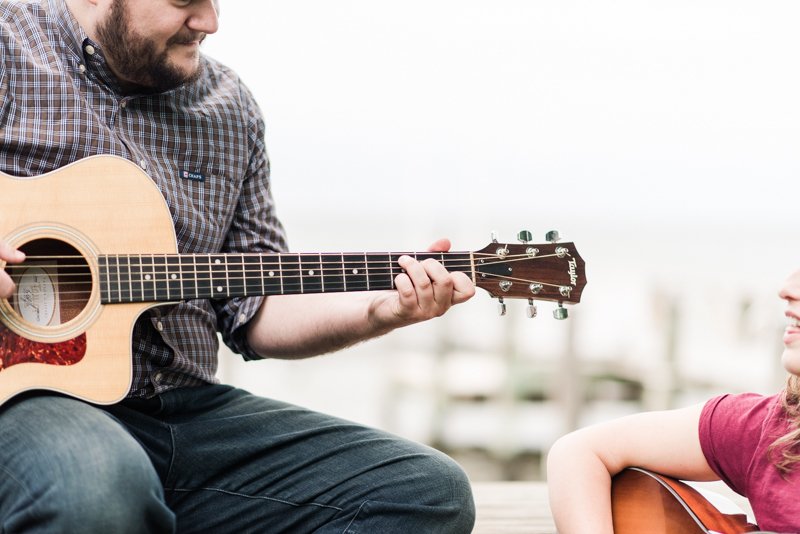 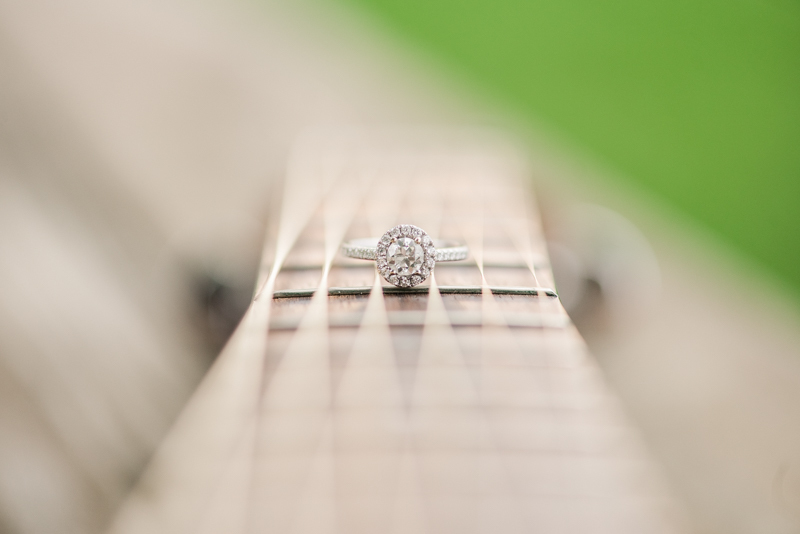 After admiring the waterfront, Bri and Ryan busted out their guitars and jammed together. 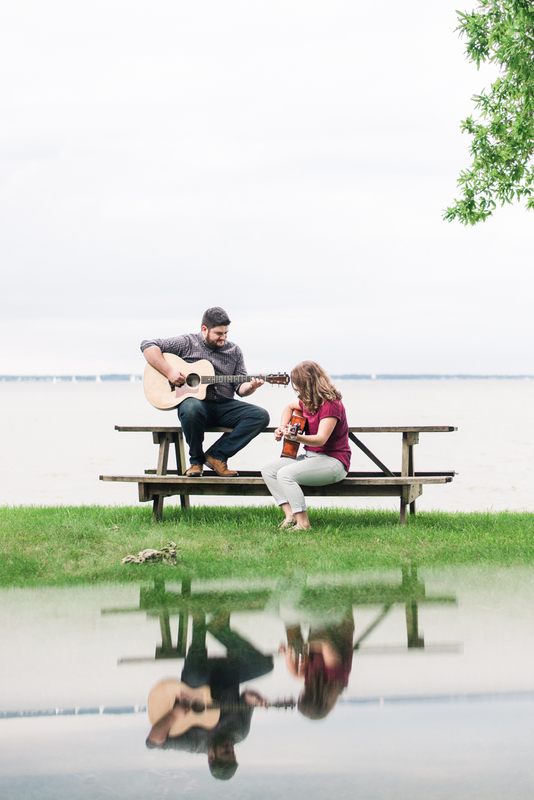 They both went back and forth, choosing songs to serenade another. 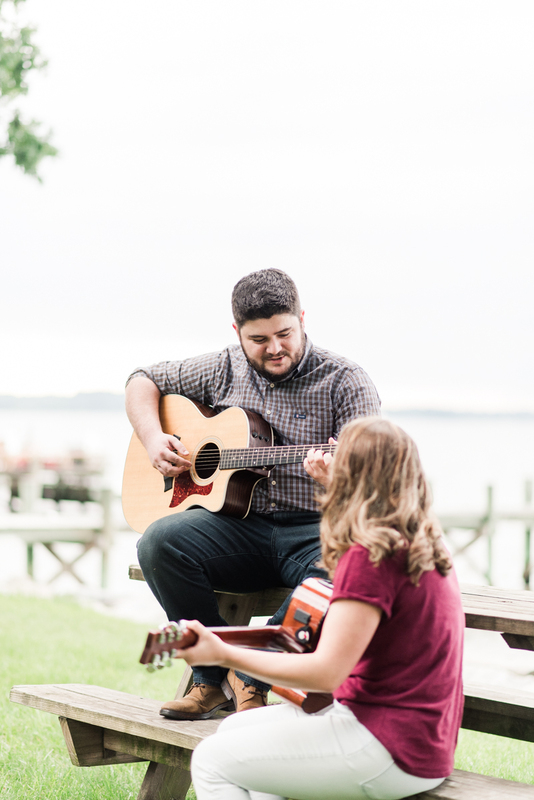 They started with You Are My Sunshine and finished with Take Me Home, Country Roads. 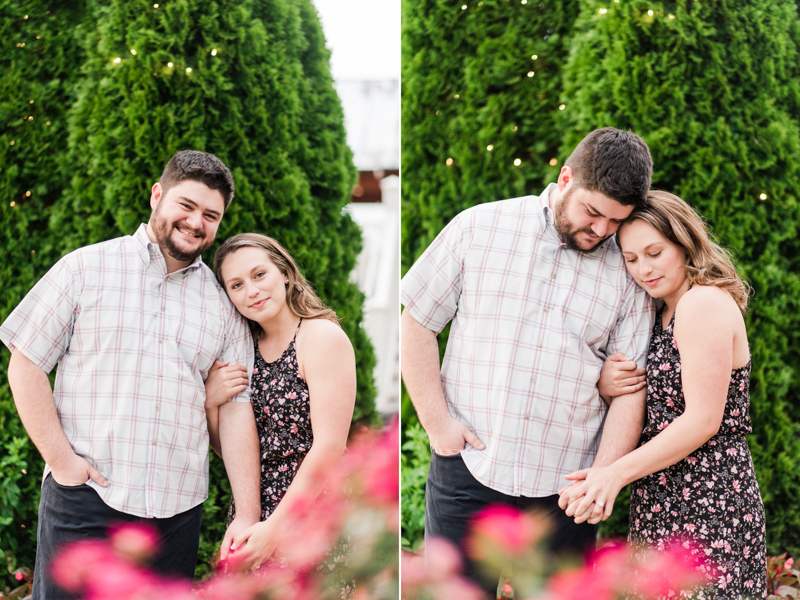 It was such a touching moment watching these two that I had tears in my eyes. 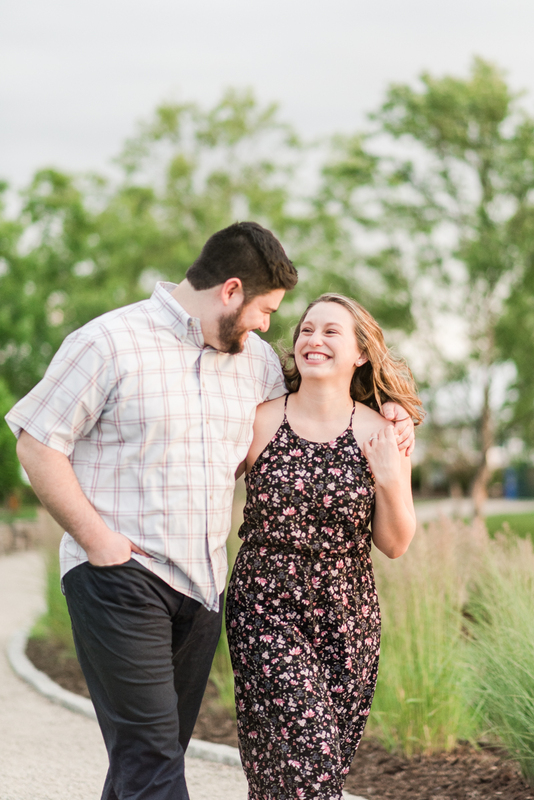 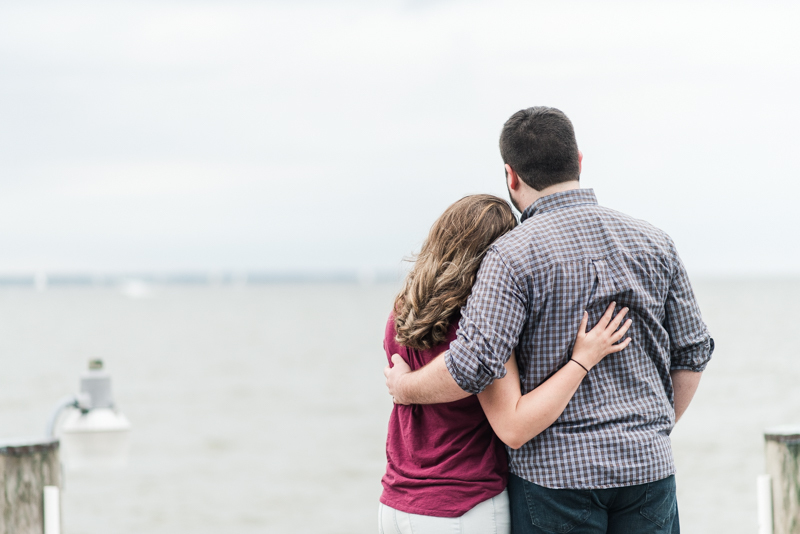 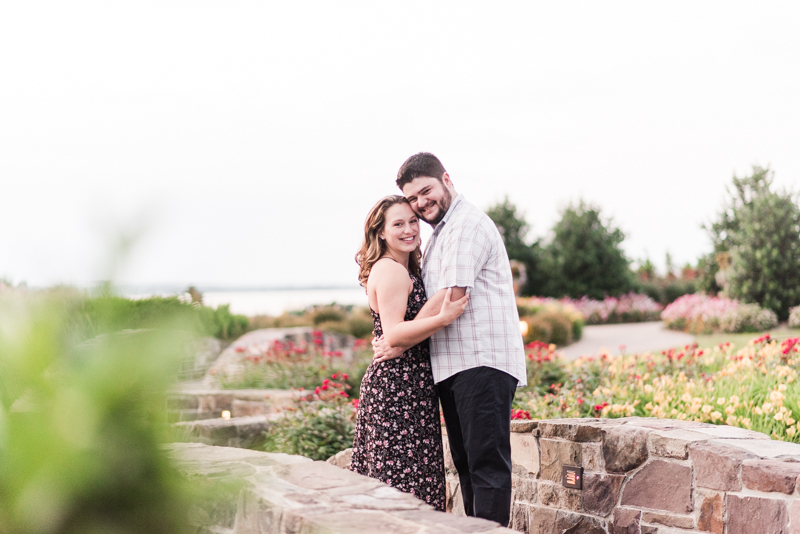 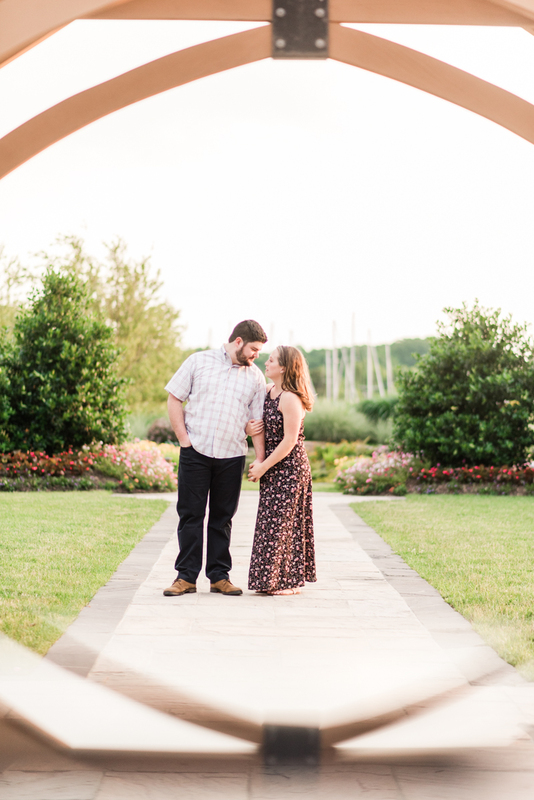 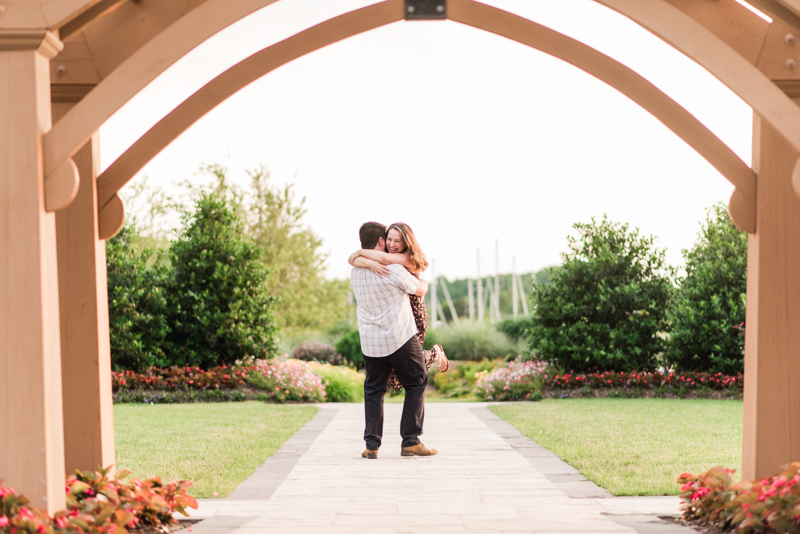 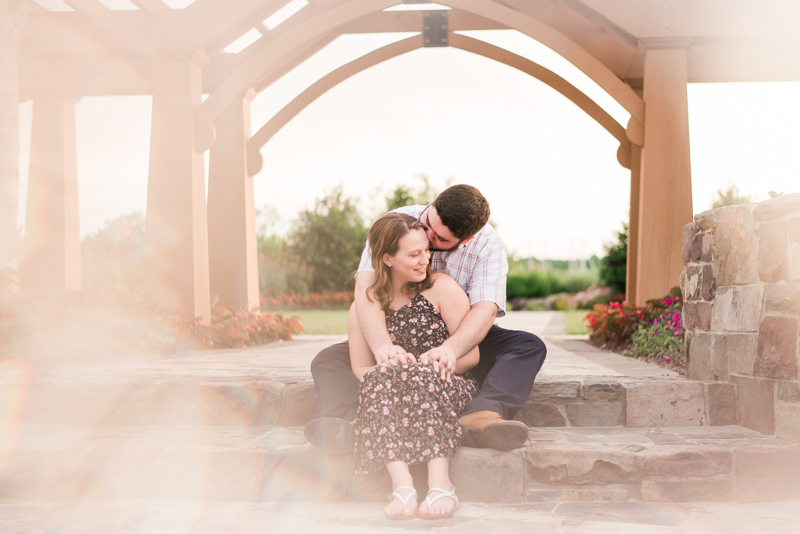 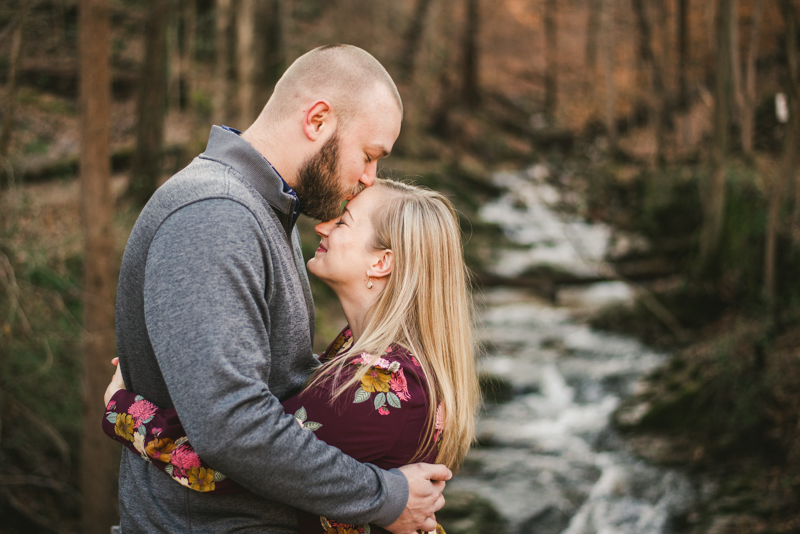 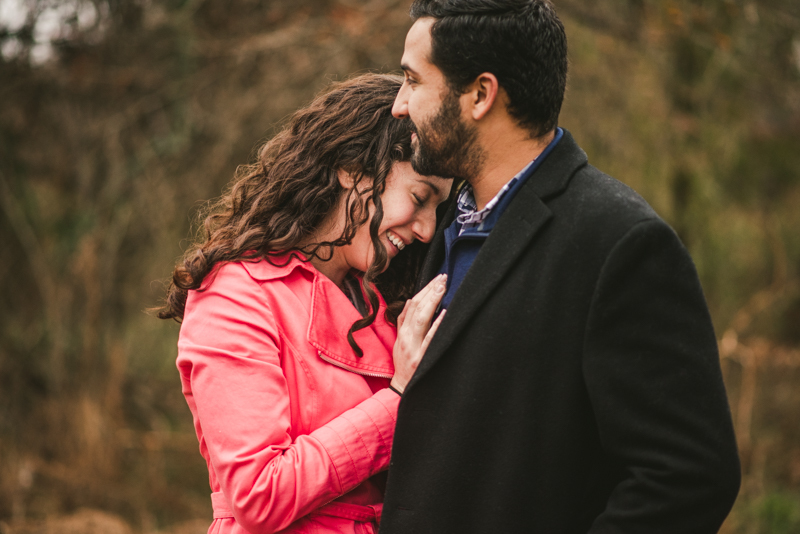 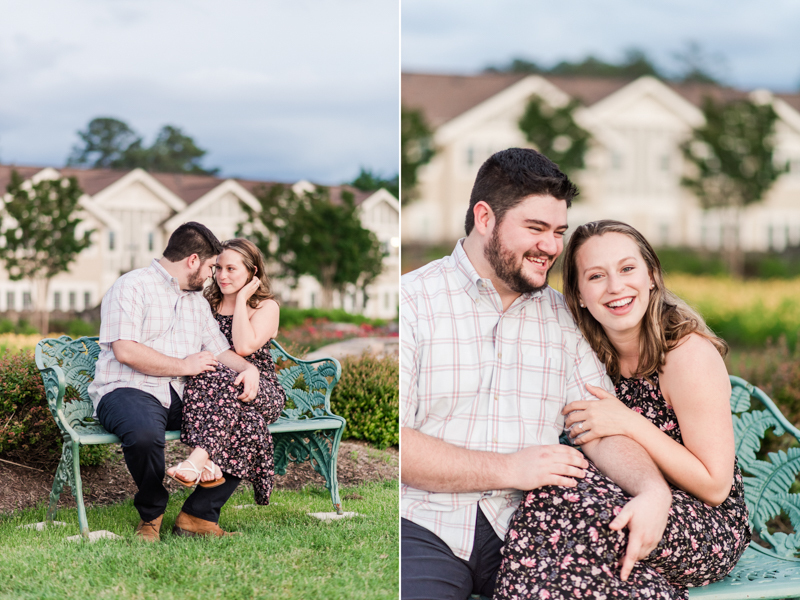 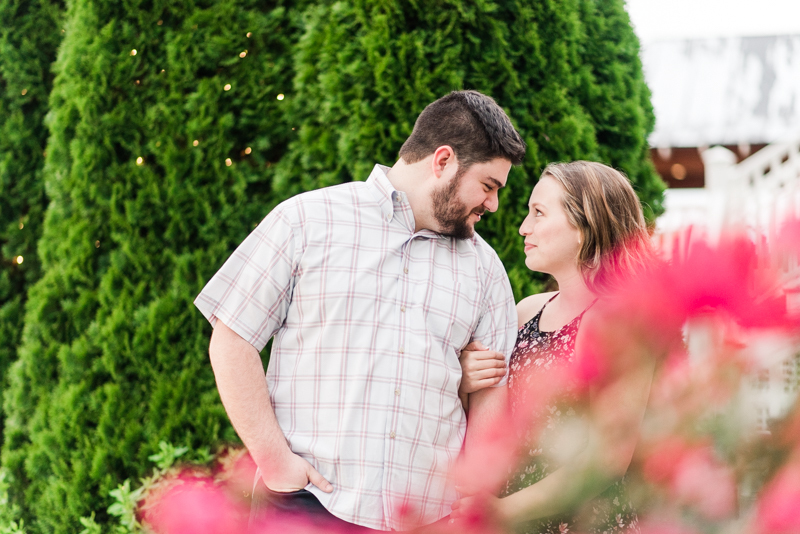 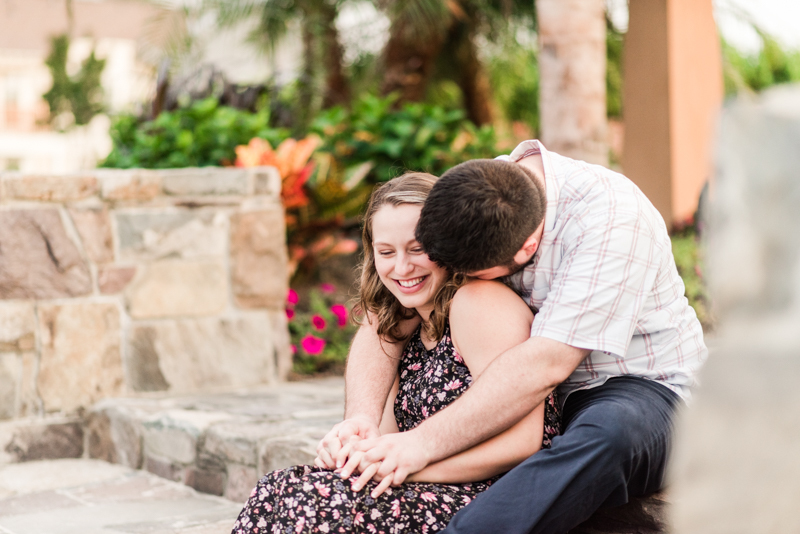 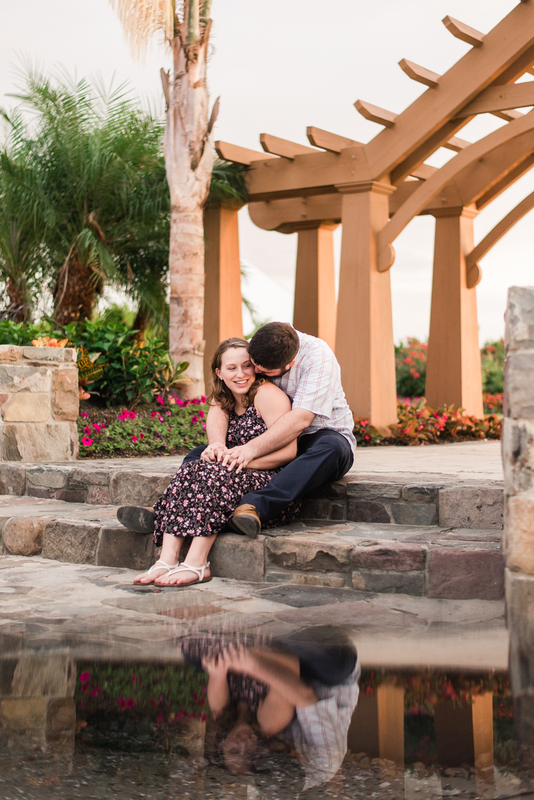 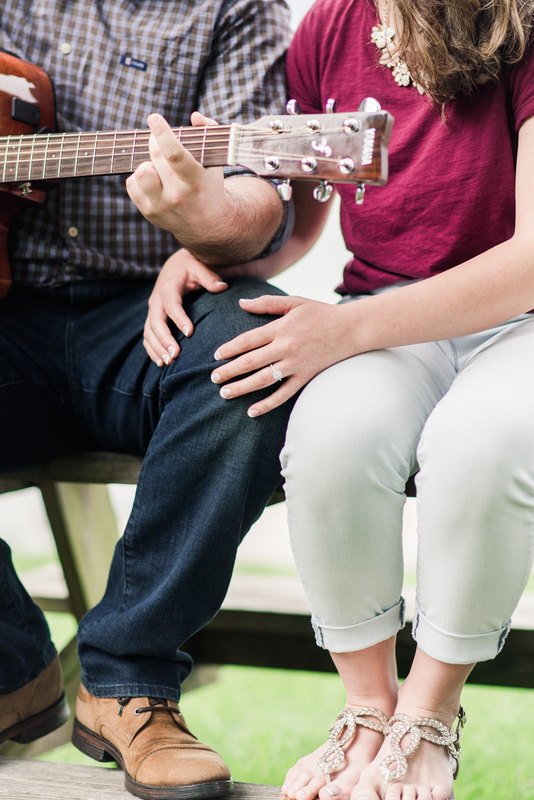 An engagement session first for me, haha! 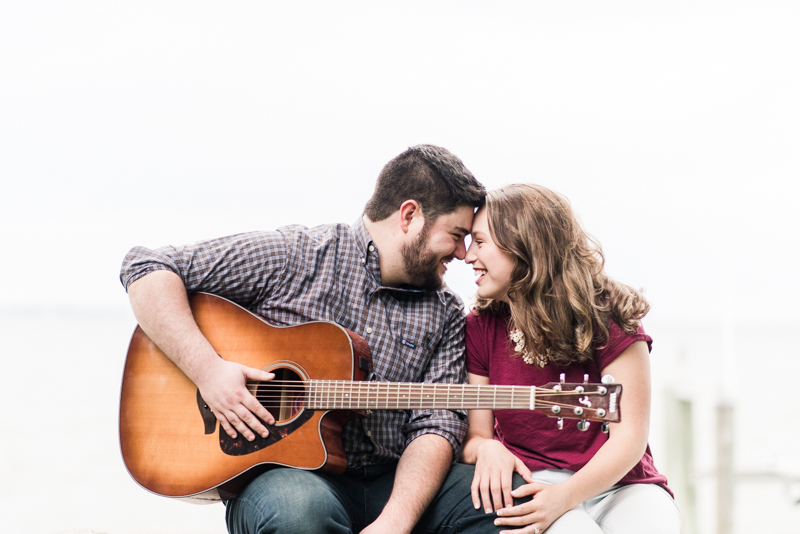 Bri and Ryan are incredible. 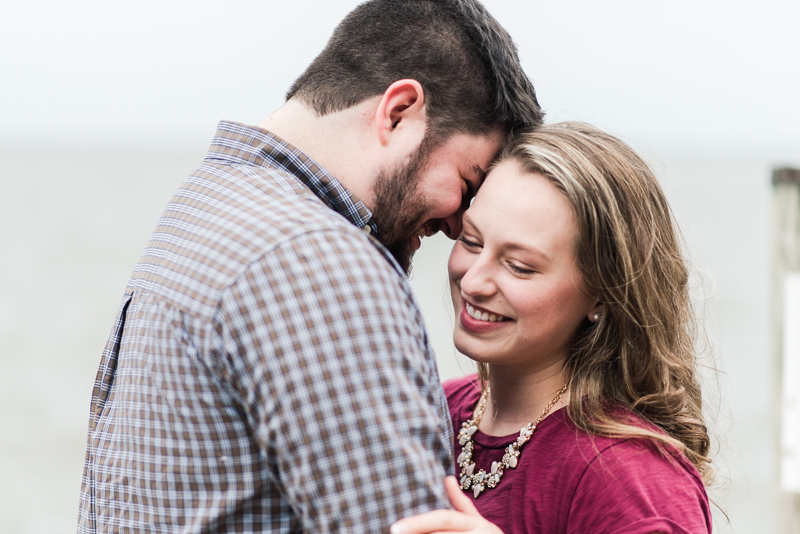 They have such a sweet and genuine relationship. 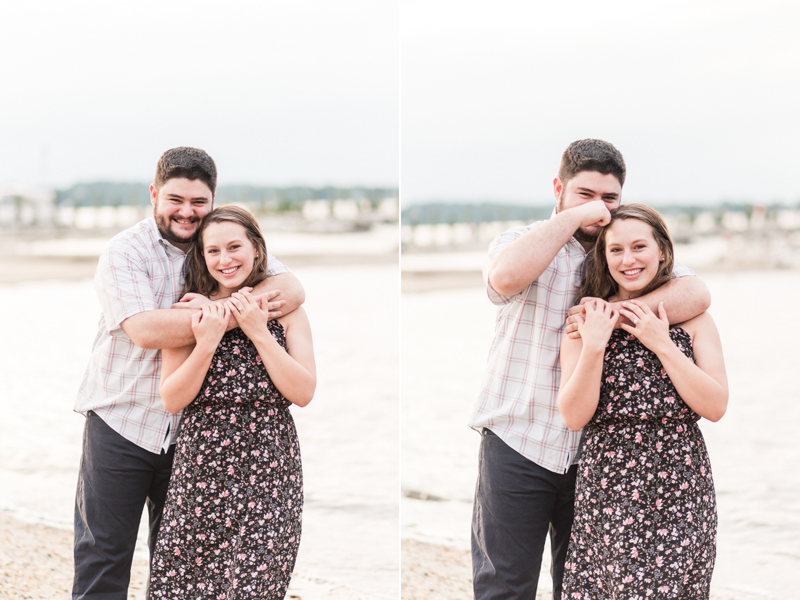 While we were in both North Beach and Herrington Harbour these two made sure they were always having fun. 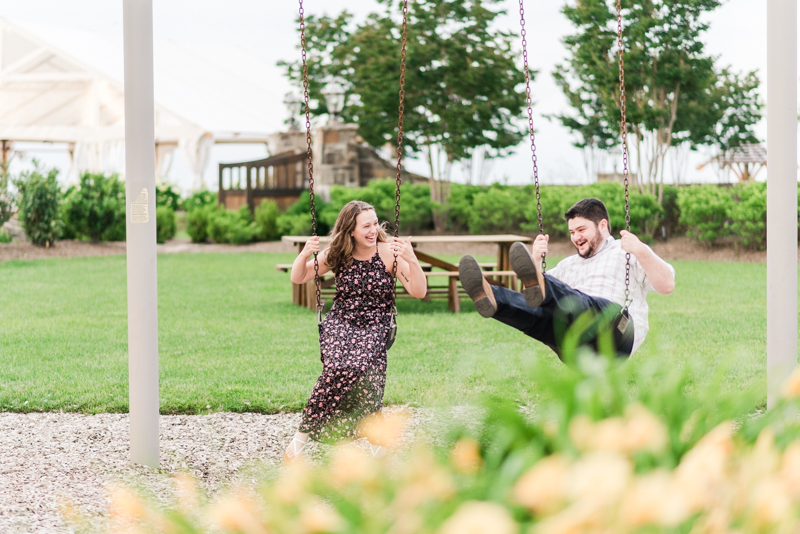 Whether the fun was striking a silly pose, or hopping on a swing set, they were constantly laughing. 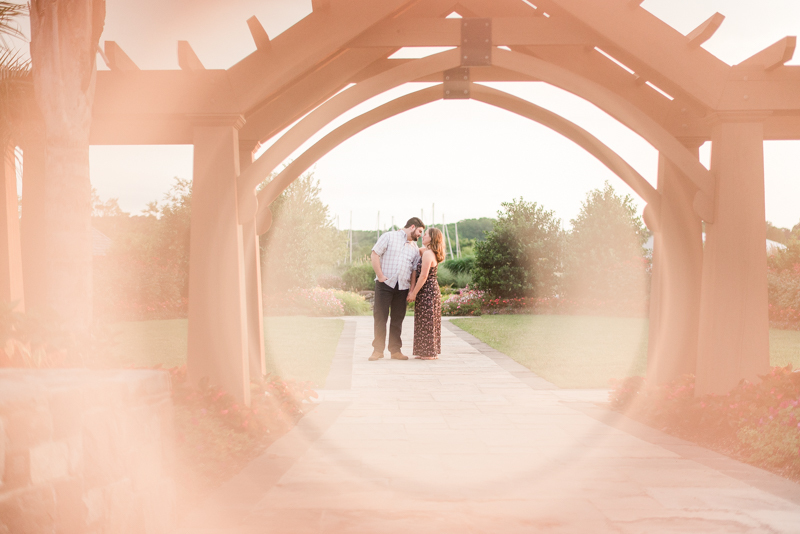 Typically, the time that I'm photographing the ring is pretty quiet. 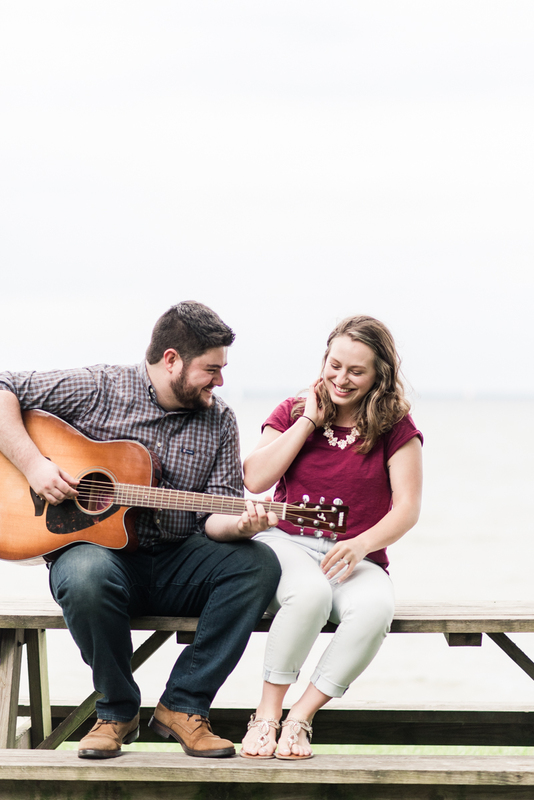 But Bri and Ryan made that time hilariously interesting by playing paddy cake and doing yoga on the beach in Herrington Harbour. 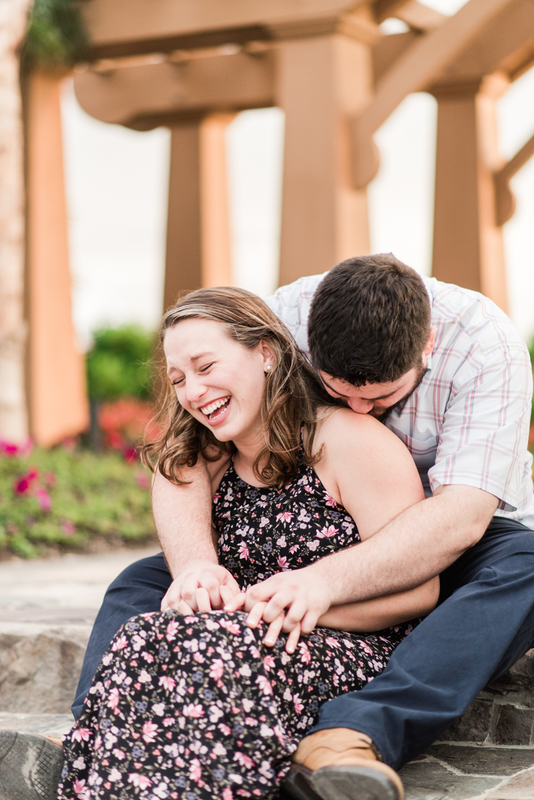 I was cracking up behind my camera. 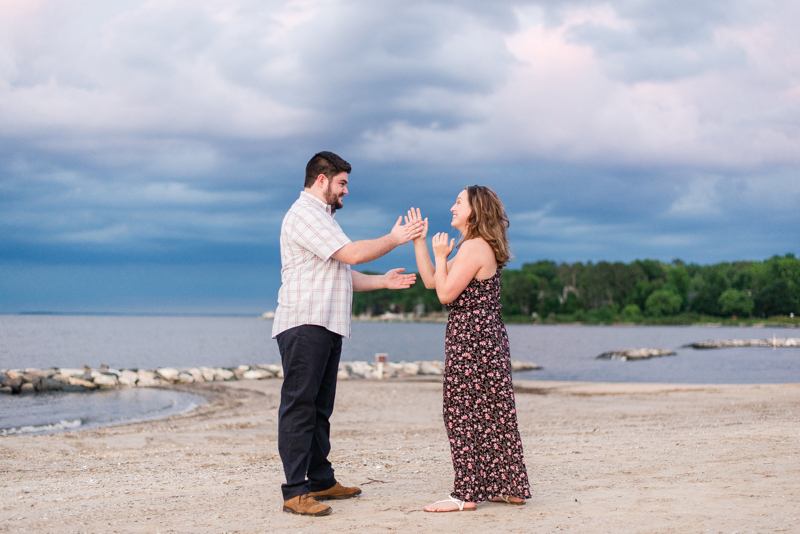 Also, totally making it a requirement for future couples to play games, bahah! 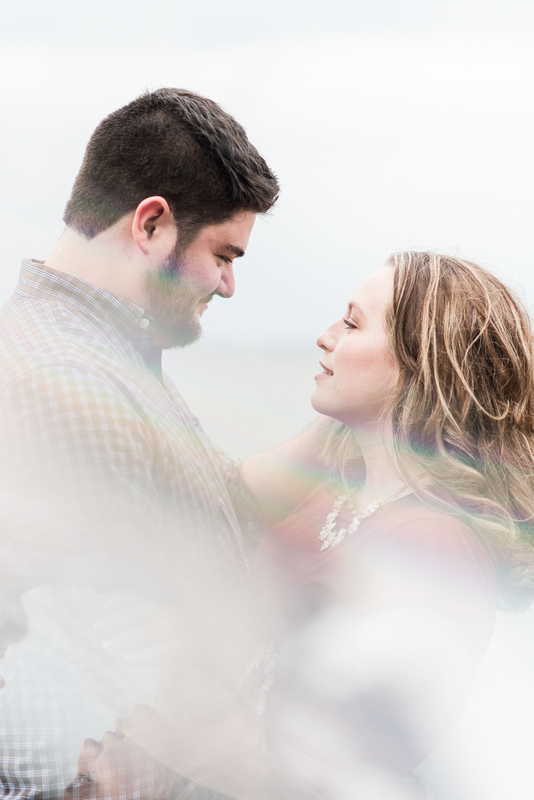 We cannot wait to see these two for their big day next year. 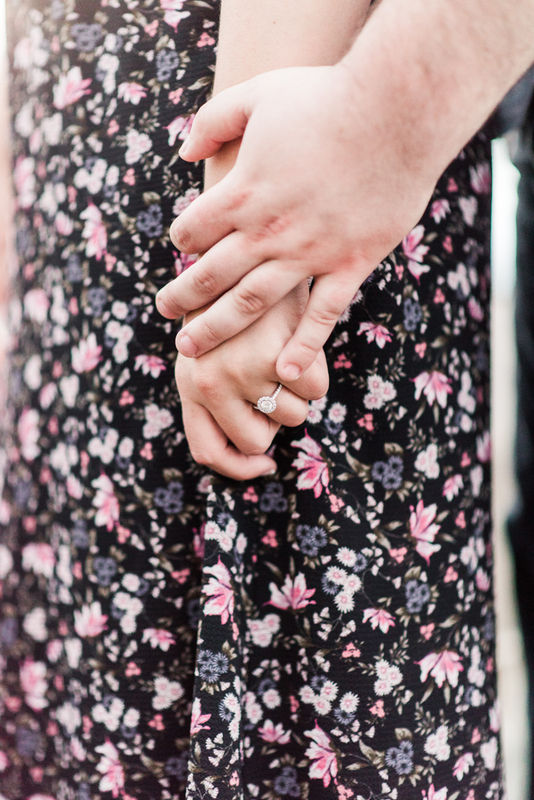 It's honestly going to be THE longest wait, but we know it's going to be worth it. 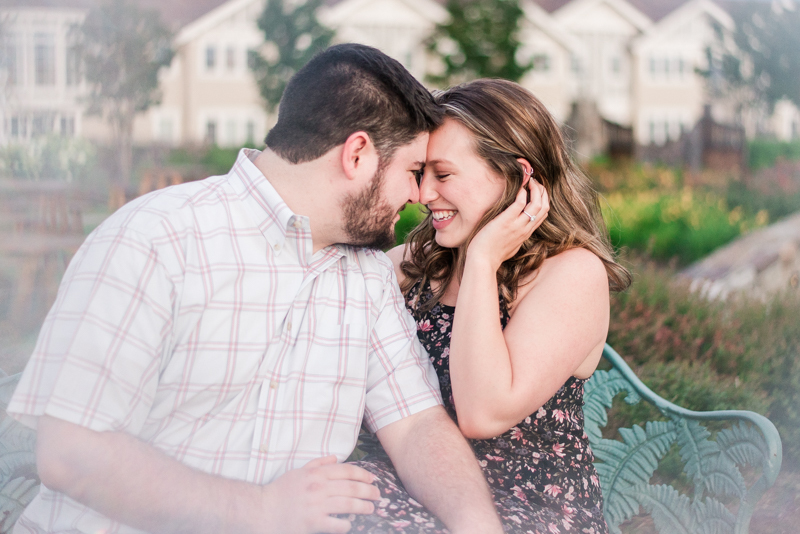 I mean, their engagement already has me on cloud nine, so I'm letting my imagination go wild for their wedding.